It’s been a while 🙂 I’ve worked a lot to find the right concept for my future business. But before I can start, I need a business name. A fresh and special name, not like every touroperator if you know what I mean. I need a name that people remember! First I thought about an English name, but then I thought that adding an Arabic word (with a nice meaning) is interesting to! 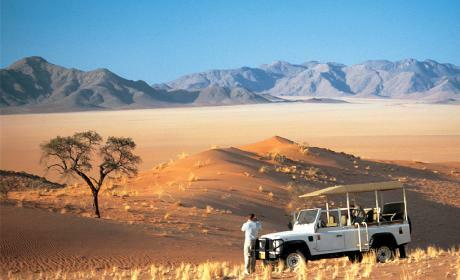 Morocco is a country which you can visit during the whole year. 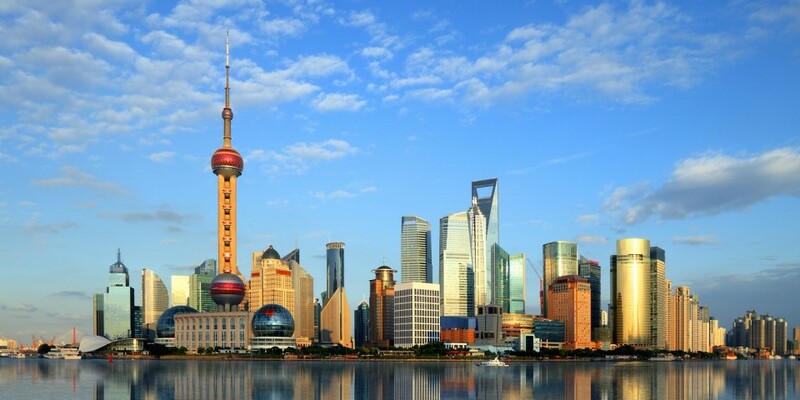 But don’t forget that during the summer, it can be very hot in the cities and in the south. Too hot to do something. 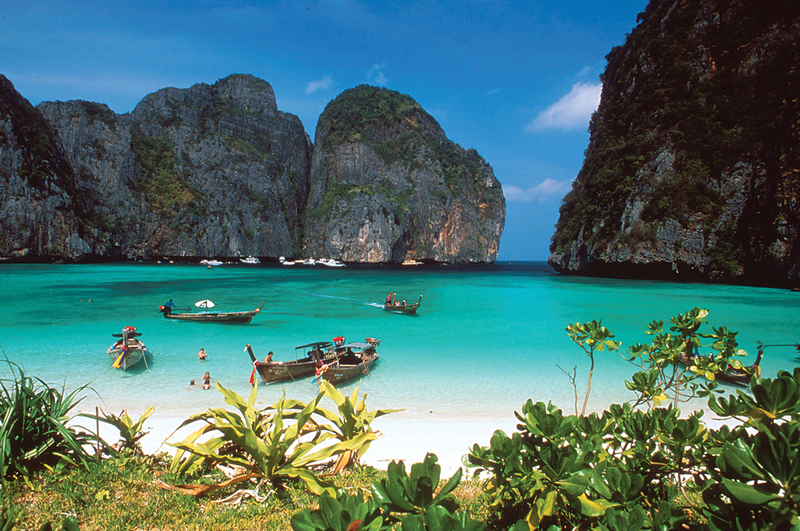 If you want to go during those months, visit the coastline or the mountains. 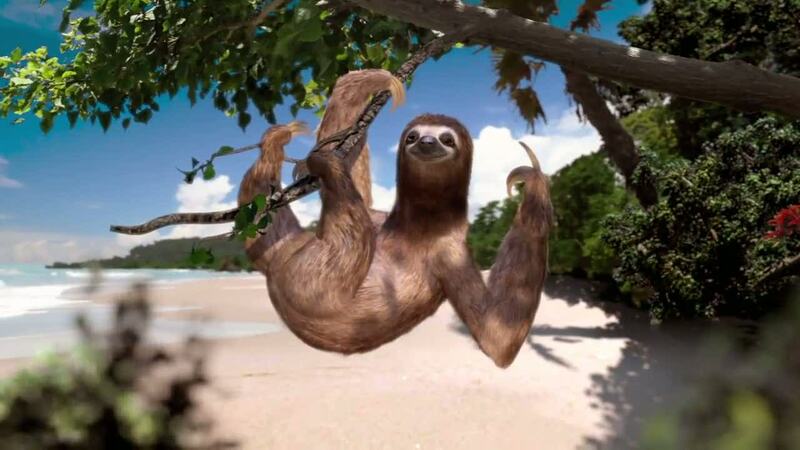 The weather is pleasant. 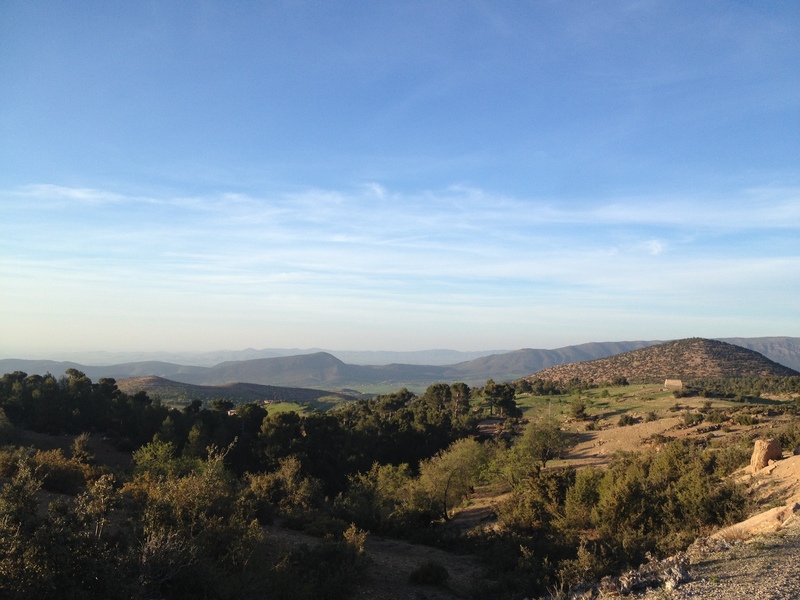 The perfect time to travel Morocco is April-Mai, the weather often the most agreeable in the south and mountains. During the winter the weather is nice during the day, but I advise you to take some warm clothes with you. 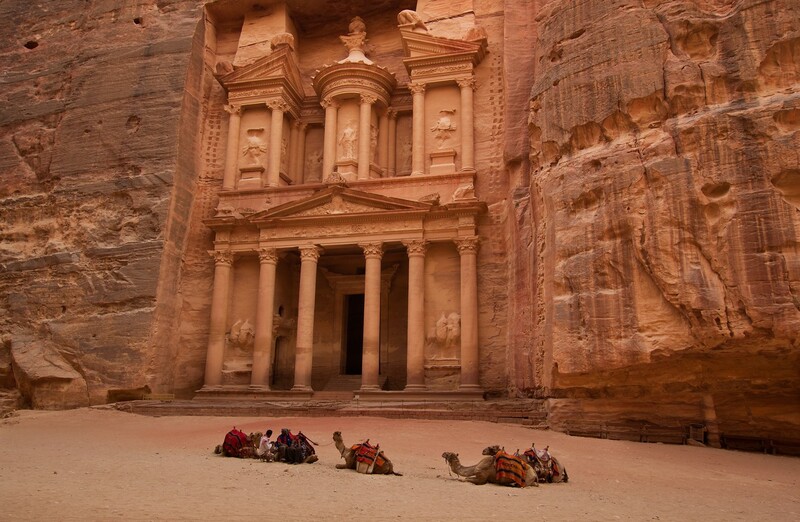 The temperature decreases at night, certainly in the mountains and desert. The best time for hiking enthusiasts is from April to October, because after this period you will find snow on the tops. 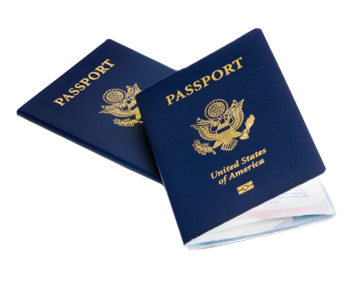 You need a valid passport to enter Morocco. I recommend to check if you also need a visa and how much months the passport has to be valid after the leaving your country. Many travellers suffer from it during their journey: diarrhea. Therefore, take along some diarrhea inhibitors as a precaution. Of course there are medications or healing herbs in Morocco, but it’s always useful to have your own medications which you know well. Like I said before, it can be warm in Morocco. So dresses, shirts, skirts and shorts or with other words light clothes are interesting to take with you. But don’t forget you aren’t home. Therefore you have to respect the rules. I really recommend to leave short skirts or dresses at home. It is expected for women and also men to cover shoulders and knees. 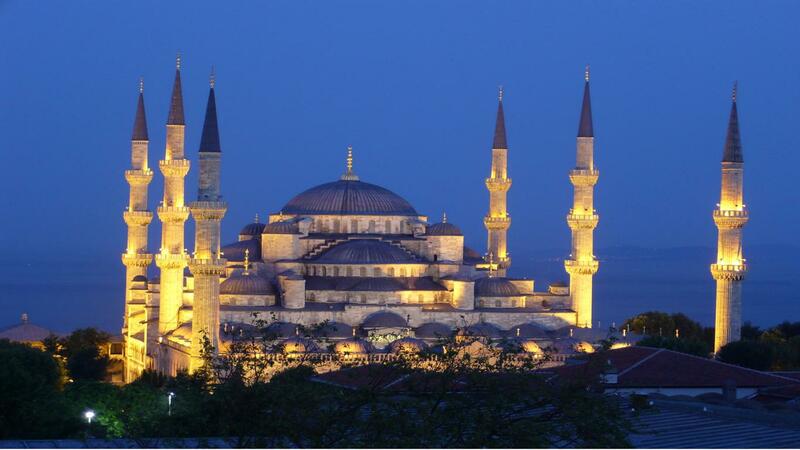 Certainly if you want to visit a mosque, take a scarf with you which you can put on your shoulders or waist. From my own experience I’ve noticed that a cardigan with long sleeves, a trousers and closed shoes can be handy for colder nights. 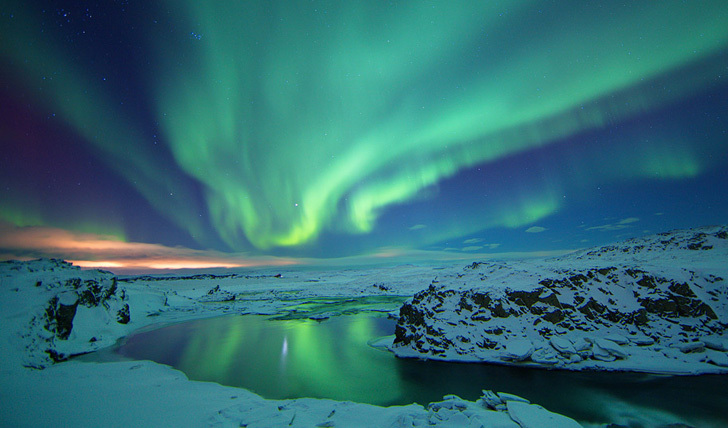 Do you want to go during the winter, take warm clothes and a raincoat with you. Hikers, don’t forget good hiking shoes and gloves if you go for a trekking. 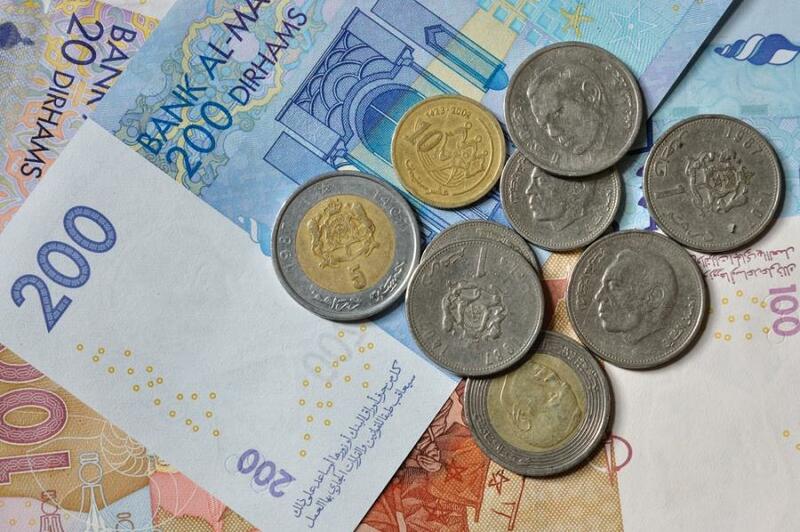 The currency of Morocco is the Dirham. 1 Dirham is about 0,093 euro, 0,101 American Dollar and 0,068 British Pond. 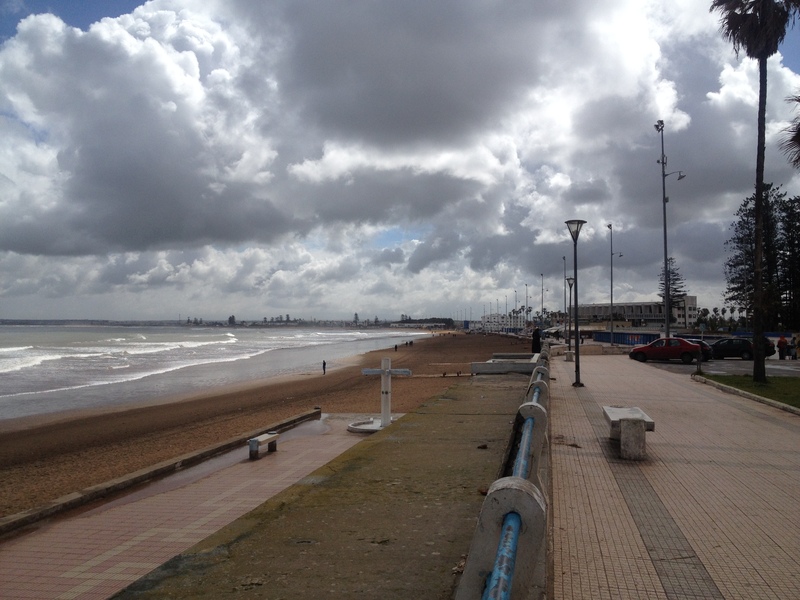 If you pay attention, you will see that Morocco is not so expensive. There are enough cash machines. Tip: when you go to a smaller village, take enough money with you because it is possible that you will not find cash machines in those villages. Tip: Do certainly not drink water of the crane!! You can buy bottles of water everywhere. Tip: What do you think about fresh juices? I looooove them! Do you know panache? It’s a fruit juice mix with orange, avocado, banana,…and milk. Delicious! In the souks of Marrakech there is a guy which make delicious ones and just for a couple of Dirham. 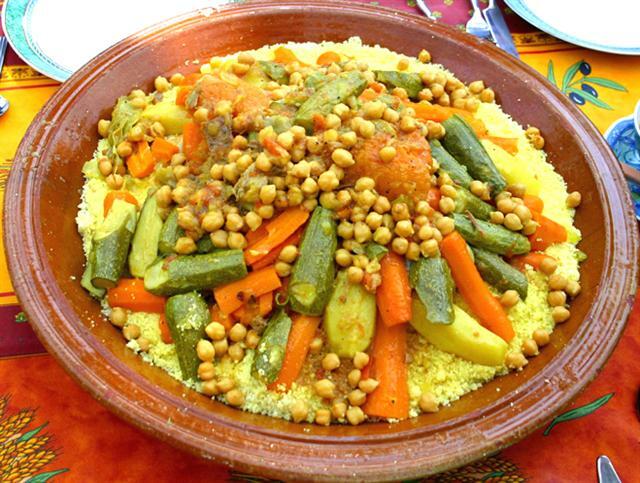 Everybody knows the delicious cuisine of Morocco. Tagines, couscous, fresh vegetables with a mint tea. 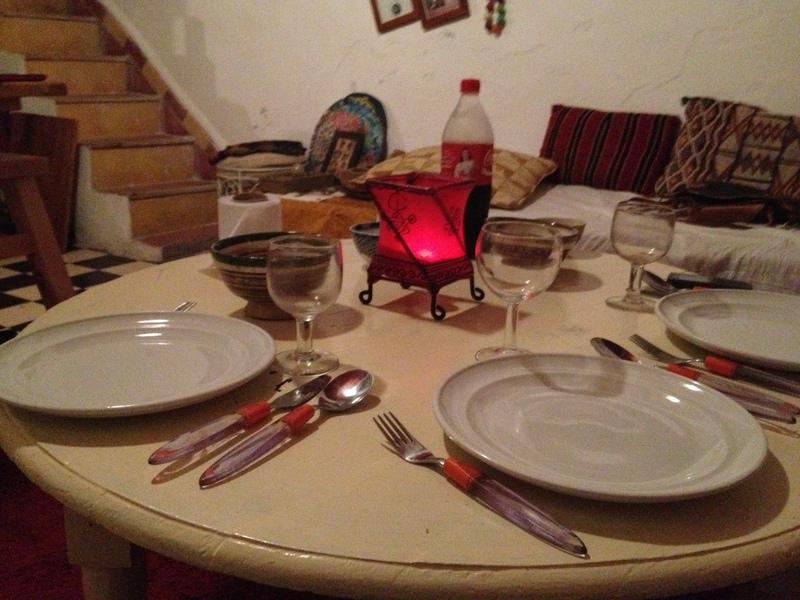 There are a lot of restaurants where you can eat not just Moroccan food, but also international cuisine. Don’t forget to give a tip which is the usual. They are already happy with 3 or 5 Dirham. 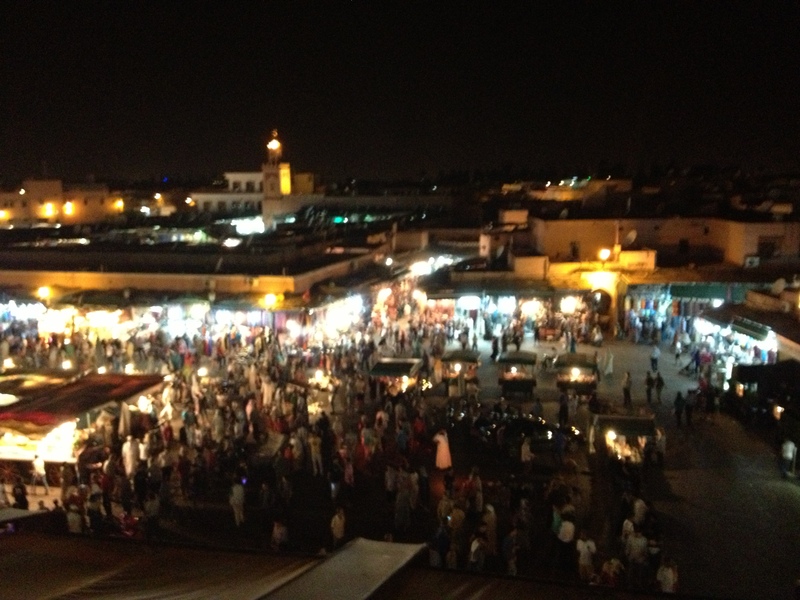 When you are in Marrakech, I recommend you to eat in one of the foodstalls. This is quite an adventure itself ! 🙂 Everywhere men who want to attract you to their stall. Funny! You can eat traditional meals for a few Dirham and the mint tea is for free! Muslims are not allowed to drink alcohol. This is why it’s difficult to get some. 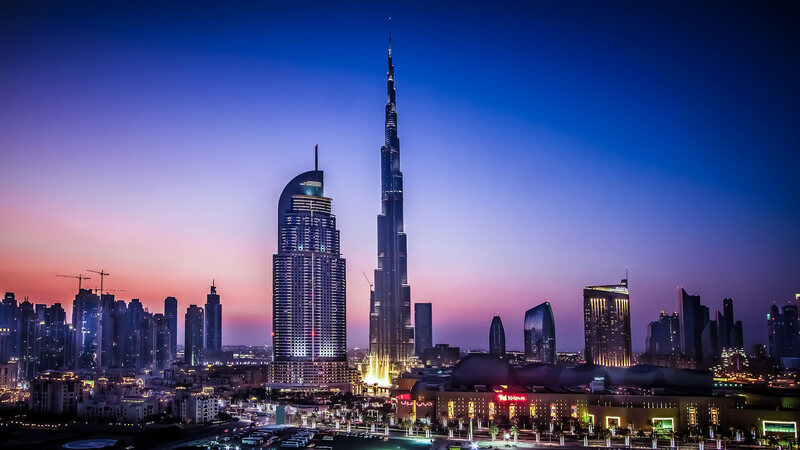 In some hotels or restaurants alcohol is obtainable, but it will be expensive for example 25 Dirham for a beer. Those places need a license. In Morocco there aren’t a lot of places where you can’t buy alcoholic drinks except in the large cities. If you really want some drinks, don’t forget you will have to pay more for that. In hotels you will have the normal western toilets, but in other places they are squat toilets. Totally different from what we are used to. Tip: I recommend you to take tissues with you during your trip. Toilet paper isn’t always present. If you forgot to take them with you, don’t worry you can buy them in every street. 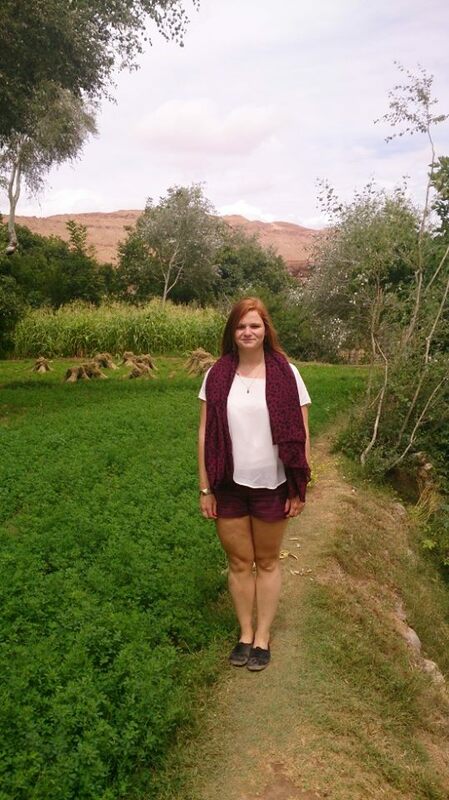 Morocco has many so-called “faux guides”, or rather fake guides. 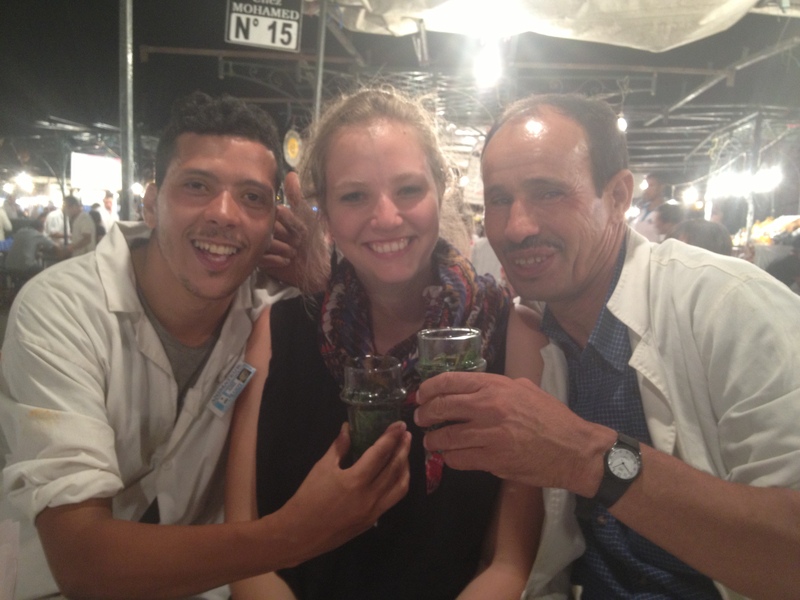 These are Moroccans who approach you on the street to show you whether under the guise of ‘I would like to improve my English,’ the way you make contact. They can be very tenacious and always want you actually sell something, often with visits to shops of the whole family. Only official guides may show you around. Remember that those people do this to earn some money. In addition, it never hurts to be guided by a local. Most people have interesting information and you come into alleys where the average tourist do not come. But for this service, they expect a tip. During your journey you will encounter many beggars and children who want candy or pens. It really can’t hurt to give a beggar a few Dirham. 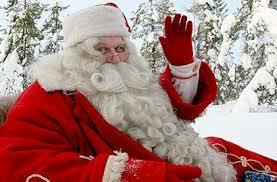 But to give gifts to children is strongly discouraged. The more we give, the more they’re going to ask. 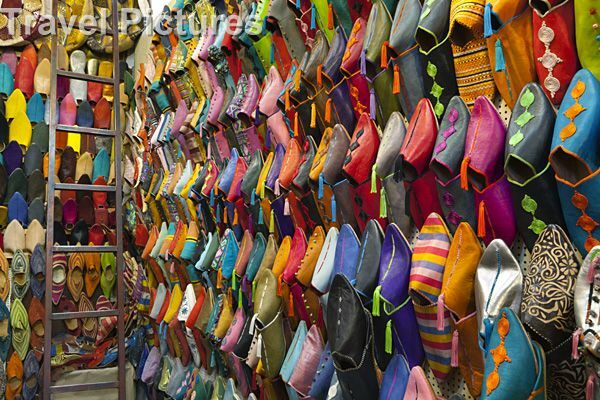 Tip: Don’t forget to haggle! It’s a game for them. 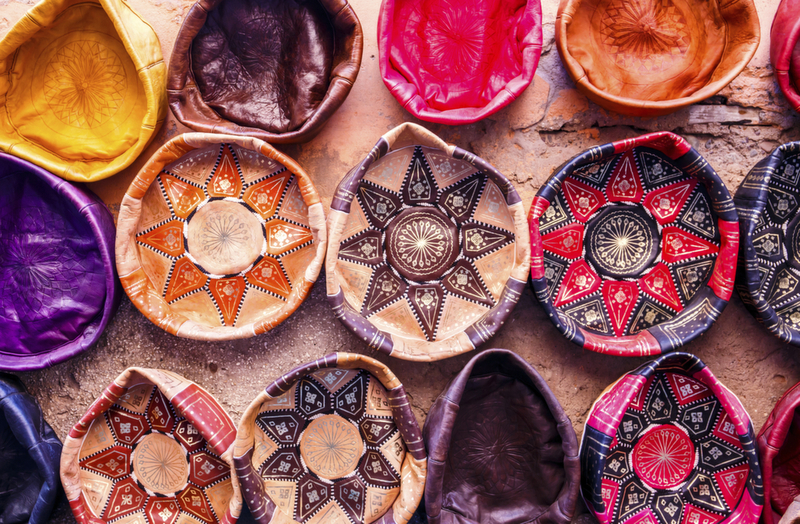 If you don’t haggle, you will pay 5 x the original price (or even more!). 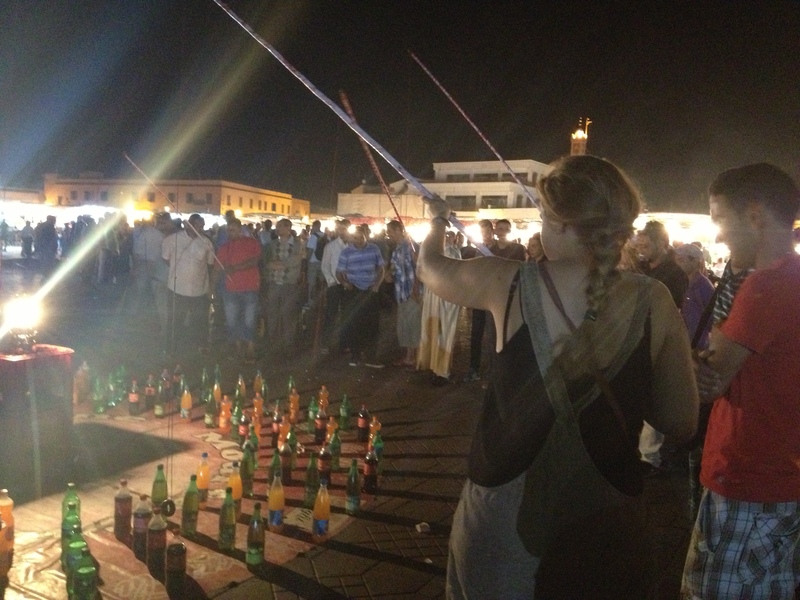 Don’t be afraid to do this because even the Moroccans do it with each other. Start with half the price. If they really don’t want to low the price, leave the shop. 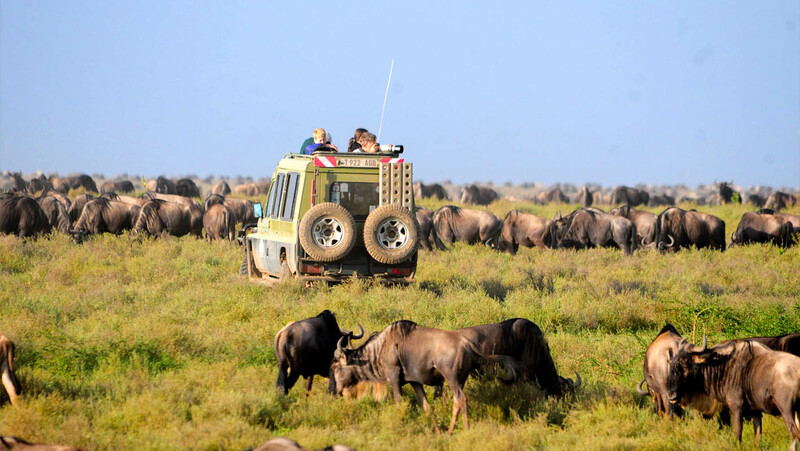 They will come after you and you will buy your souvenir at your desired price. Show some respect and interest for the culture / Islam. It can be very interesting and you get to know something new. Remember that their traditions aren’t the same as our traditions. You will have to adapt you in certain circumstances, in this way you show respect. I think this is very important! Don’t do things you wouldn’t do at home. I also recommend you to be open with people. Moroccans are very open (in a friendly way). They always want to help you and want to make sure you will have a nice time in their country. When you are friendly, they will do lots of things for you. 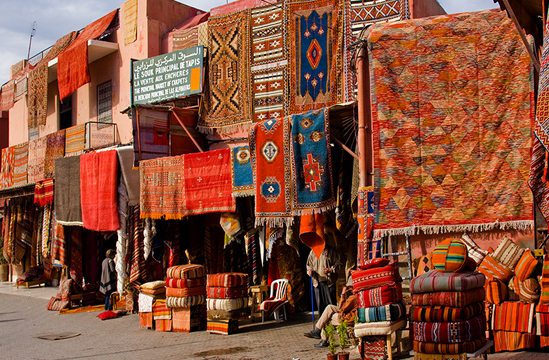 Tip: When you are on the Djemaa el Fna square of Marrakech, you will have to be carefull for some things and people. On the square you can do and see lots of things. I discourage to put henna on your hand because you don’t know what they put into that mixture. When a woman comes to you to give you a free bracelet, don’t accept it! Afterwards you will have problems with you because she wants money for it! Remember, nothing is free in Morocco 😉 The same for the pictures with monkeys and snakes. As you may have noticed, I never book all-ins. I don’t like them and certainly not in counties like Morocco. Please, choose to sleep in Riads or bivouacs in the desert. Then you will learn about the traditions of the country. When you book an all-in, you will not leave your hotel and you will stay whole days at the pool. Morocco has so much to offer! 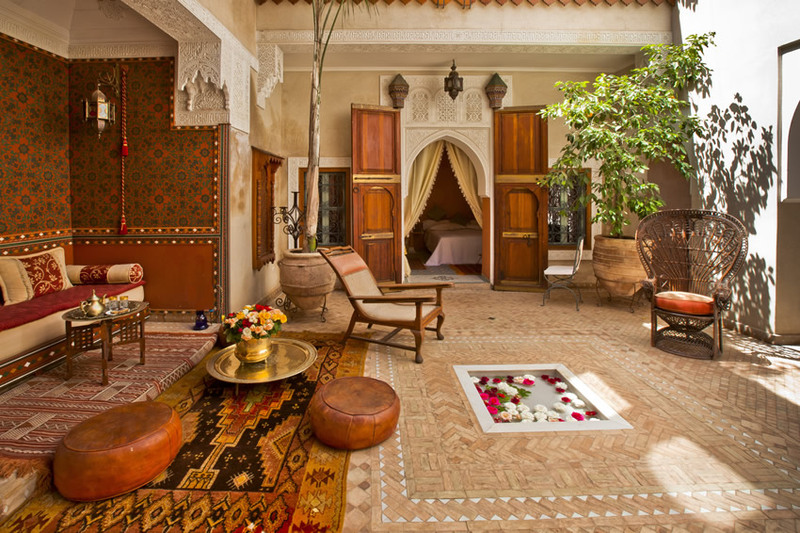 Take a step into the Moroccan culture. 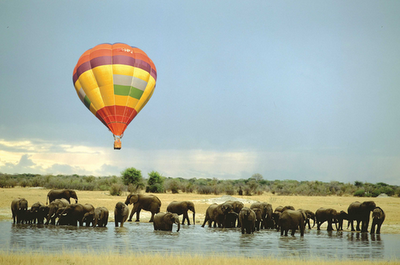 Besides, go further than Marrakech. 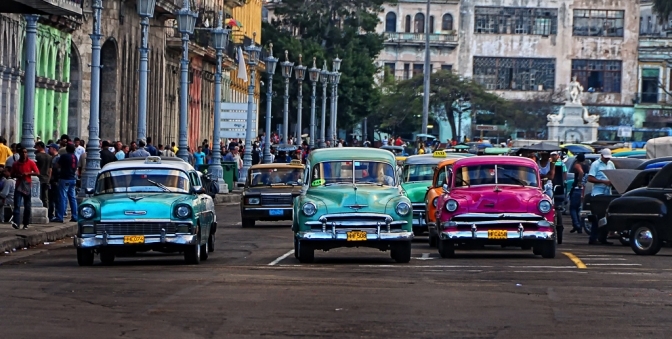 It’s a country which is perfect for road trips! If you need some help for that, don’t hesitate to contact me 😉 I would love to organise something for you! For your road trip I recommend to hire a car. But be careful, always check the car before leaving. If there are dents, take pictures! Check if all the papers are in the car and the other necessities like the warning triangle, fire extinguisher, … There are days that the police control all the passing cars. Tip: In Morocco there aren’t a lot of rules in the circulation. They drive with 3 side by side, they honk for everything,.. With other words, it can be very stressful, certainly in big cities like Marrakech! Attention! Please respect the speeds because After each small village, the police ready to measure your speed. 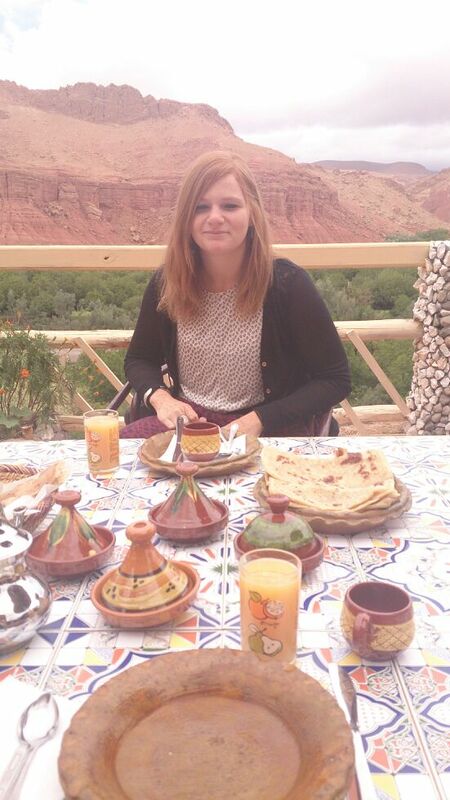 To end I would like to learn you some standard expressions that you can use during your stay in Morocco. Don’t hesitate to contact me for more details! 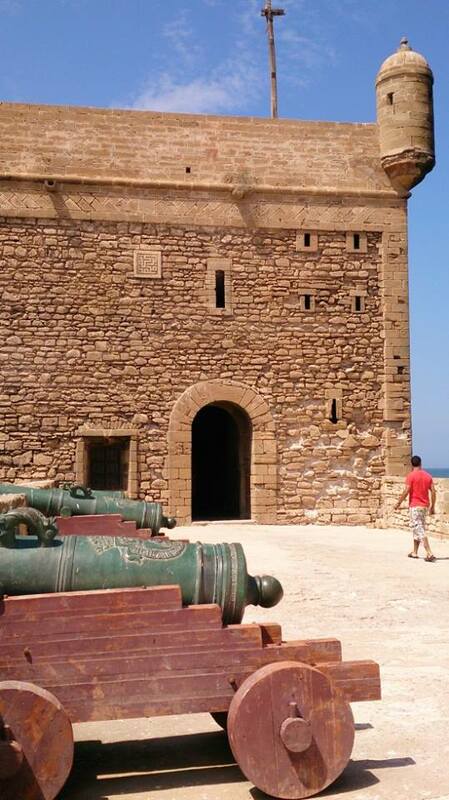 After 2 days of chilling at Kasbah Chems, my friend and I took the road northwards. 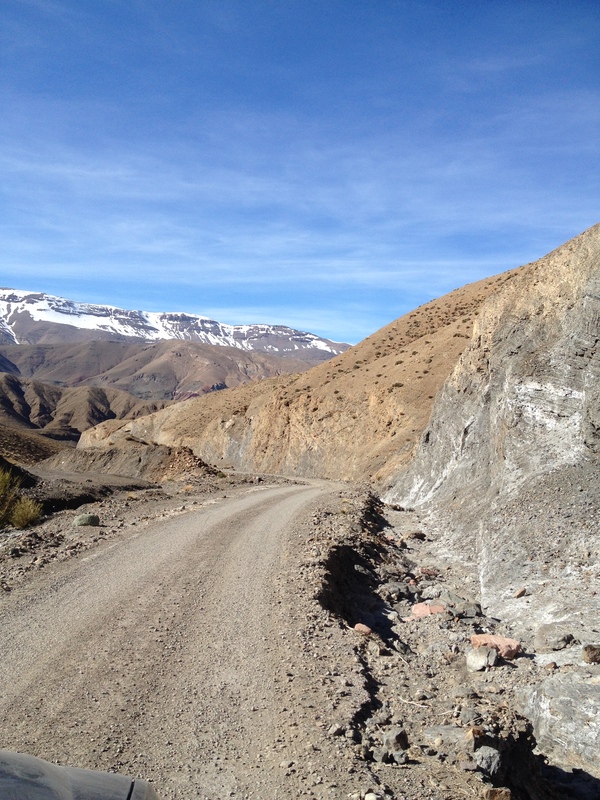 We took the road Taourirt which is an adventurous track through the High Atlas. On several places you have tarmac but with holes or just sand! Oh yes, there are no borders so we had to be very carefull! I was happy that we didn’t have to cross other cars because the road is narrow and we were very high! During this trip a saw lots of beautiful landscapes. A saw snowy mountaintops, untouched nature, old nomad villages and at the end beautiful meadows everywhere. The intention was to sleep at Demnate but no hotels. I think it’s normal because it isn’t a touristic place. So we drove and drove and drove until we saw a person wayside. It was dark and there were no lights. We thought he was a police officer so we stopped a bit further (because we drove a bit too fast 😉 ) But he was just a friendly fireman who wanted a lift to Azilal. He brought us to a nice hotel in the city (a night for 150Dhs per night !!). 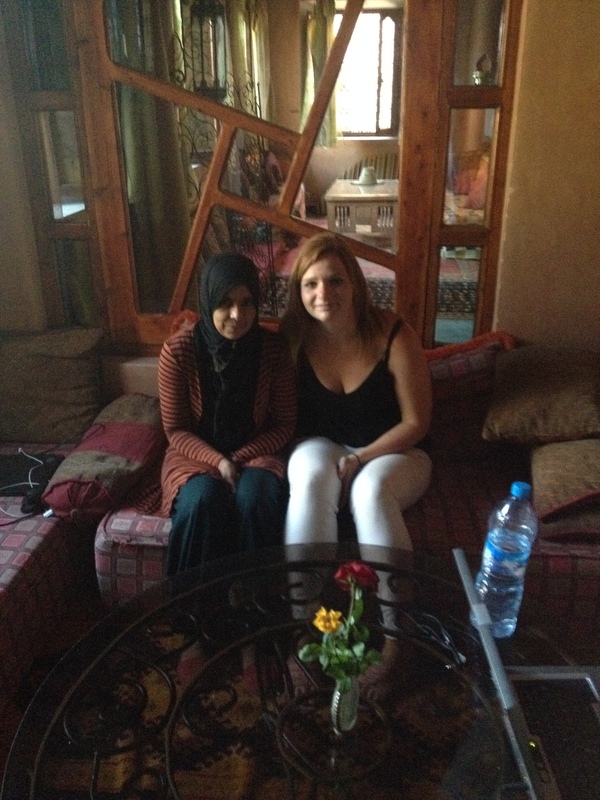 People in Morocco are so likeable, if you don’t have a place to stay, you can stay with them and their family. Lovely! After a good night, we were back on track. 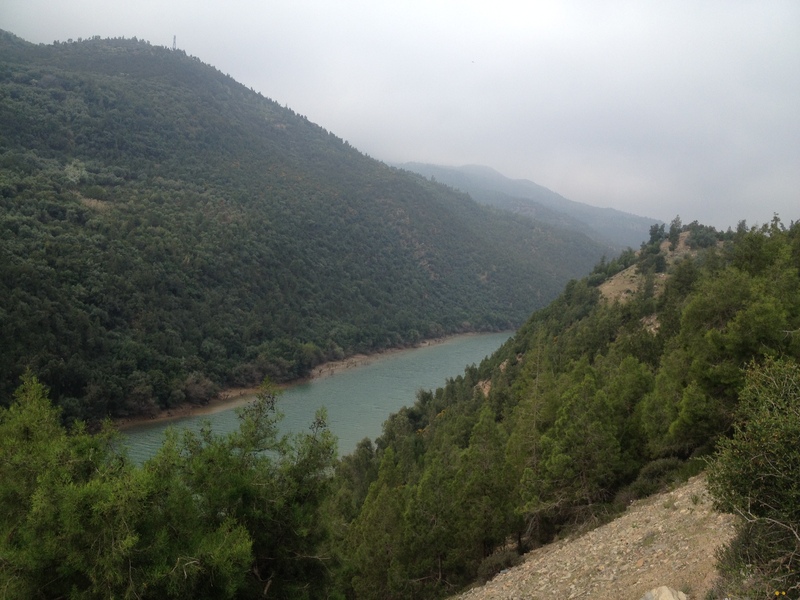 We followed the road till Bin-el-Ouidane, an amazing place ! I really recommend it! It is a very large lake with a dam. Behind the dam, you have the river which is so blue and clear. I was impressed. We drove along the dam and river and enjoyed the incredible view. I was speechless by the beauty of the lake. 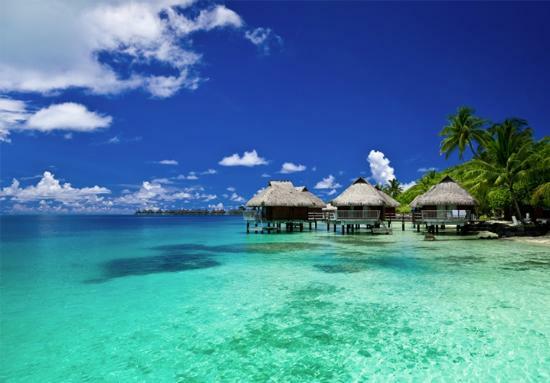 This is a great place to float on the water or to do some jet ski. 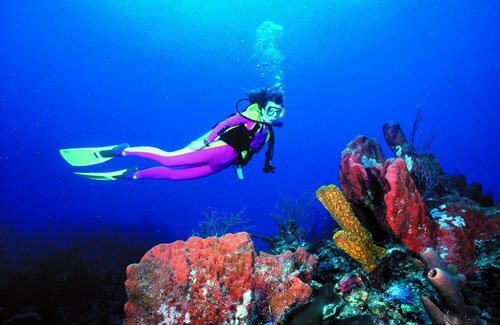 There are beautiful hotels at the lake with pools and which offer lots of other activities. Little reminder: they are a bit expensive 😉 But, you get a lot in return. 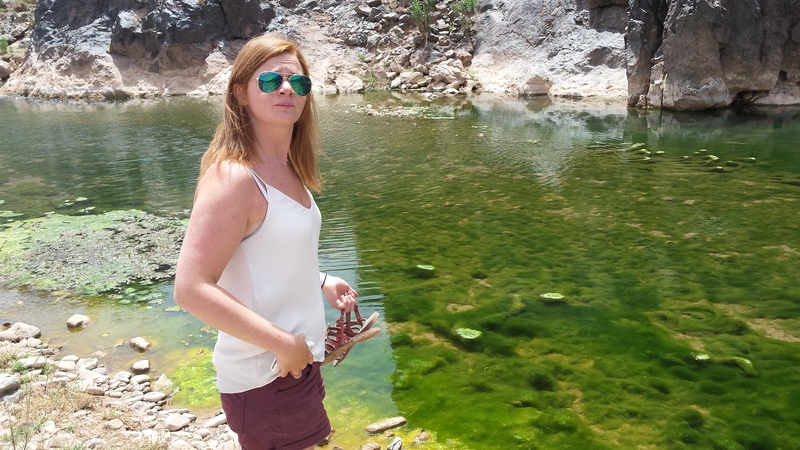 This wonderful place is located 200 km from Marrakech. 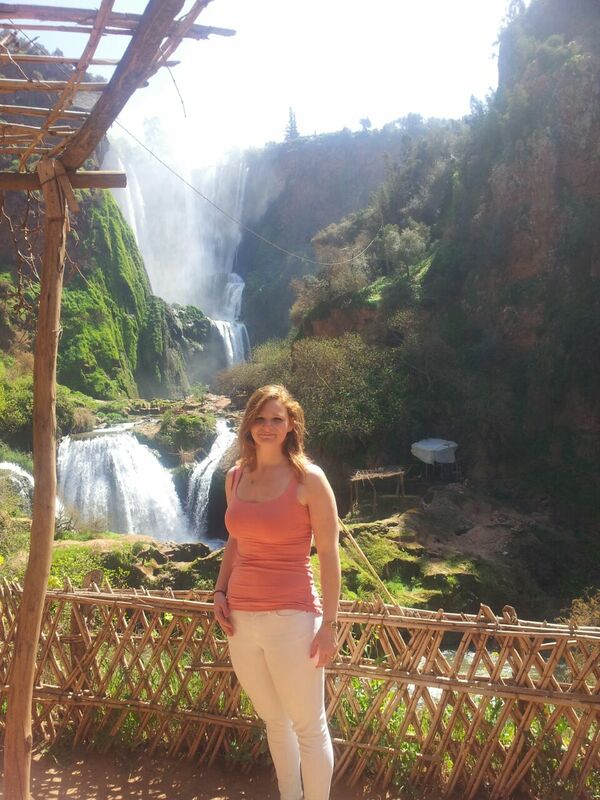 Our next stop were the Ouzoud waterfalls, not so far from Bin-el-Ouidane. My friend and I enjoyed the wilderness and took a small path to go to the foot of the falls. During our adventure, we saw a big monkey! It was the first time I saw one in wild. This place is known for the many monkeys. 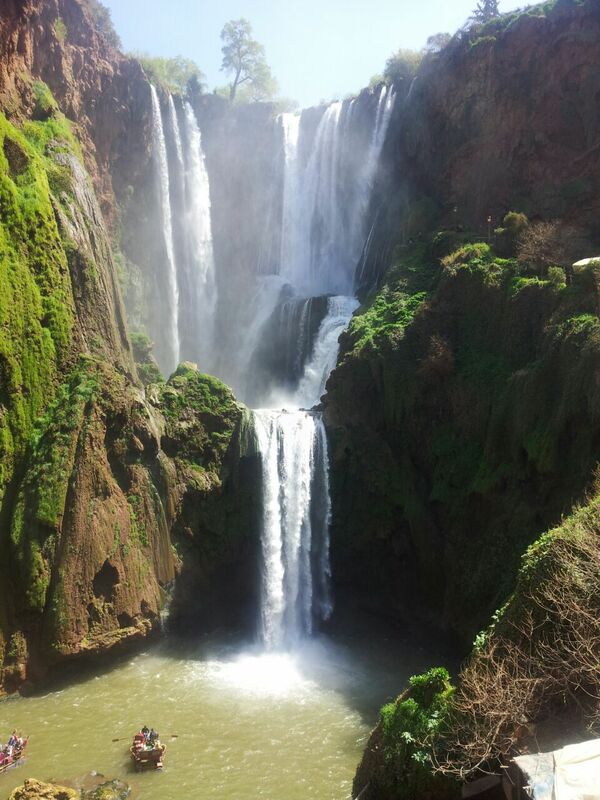 Did you know they are 110 m high and the most famous falls of Morocco? 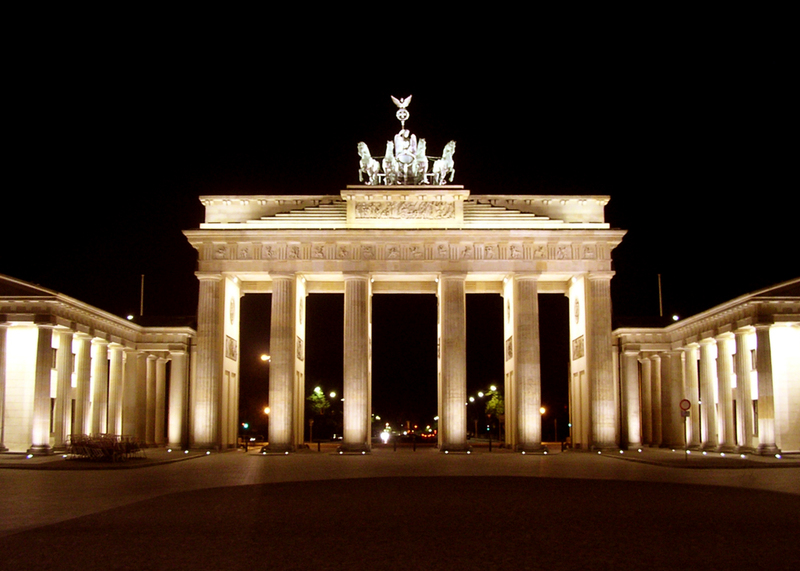 During the summer it is a famous attraction for tourists. 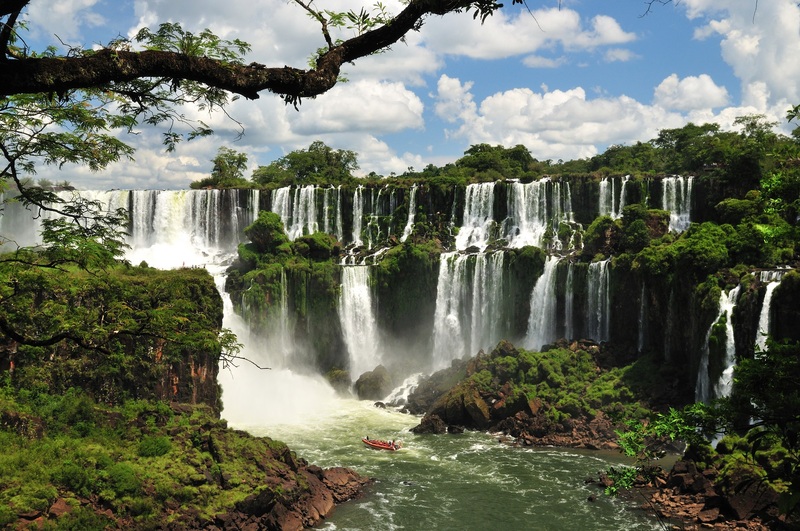 You can eat and drink, swim, float on one of the funny boats or just enjoy the view. We hadn’t much time to stay because we had a very long road to go. 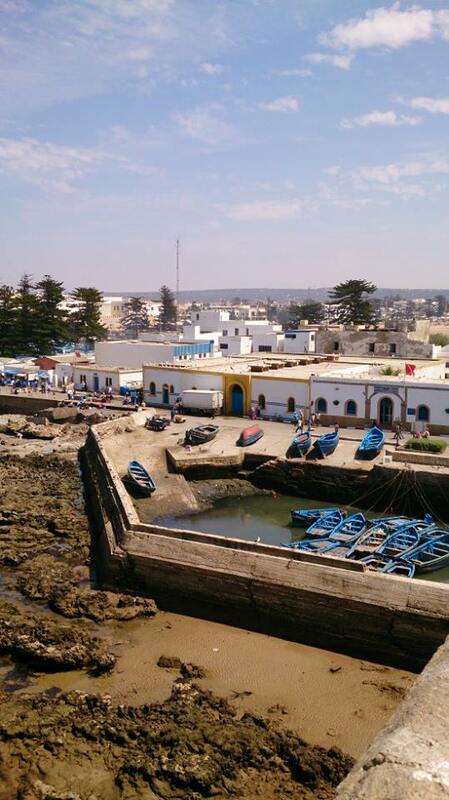 El Jadida goes next! 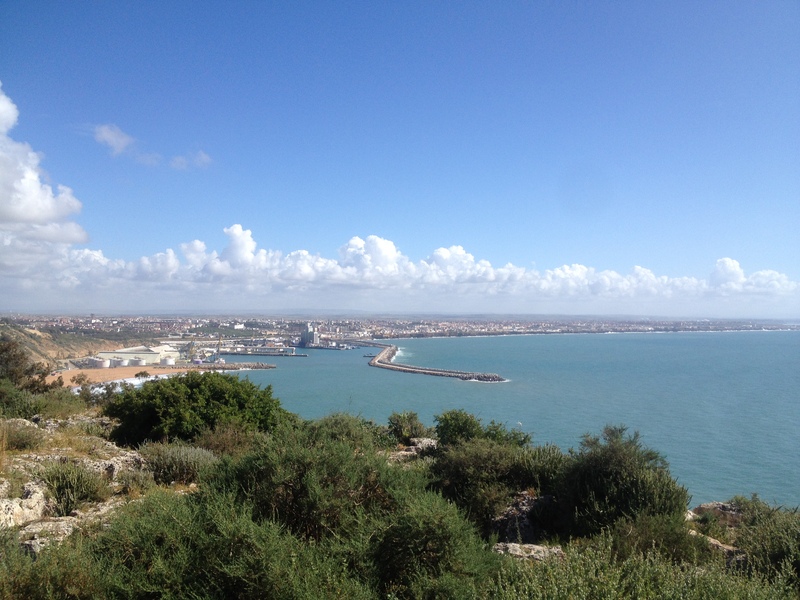 I enjoyed the track from Ouzoud to El Jadida. We were surrounded by green meadows, farms and peace. No tourists, no many cars 🙂 With our music in the car, we were happy and relaxed. 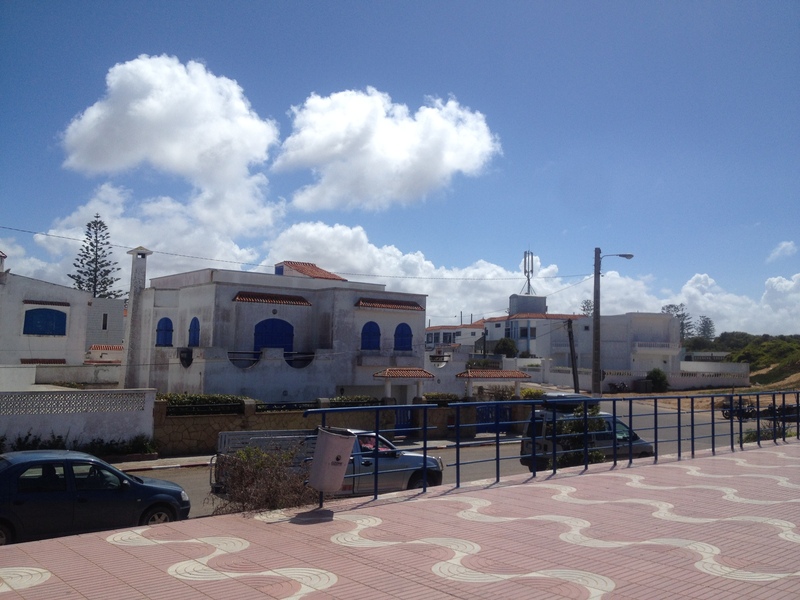 We drove all day and finally arrived at El Jadida, a fishing city below Casablanca. Because we had a friend who worked there, he could fix a sleeping place for us. Tip: make friends! They do anything for their friends 🙂 Unfortunately it was rainy and windy, so we left. Not so far away we made a stop in Oualidia. Wauw! This place was amazing! It was so calm and beautiful. 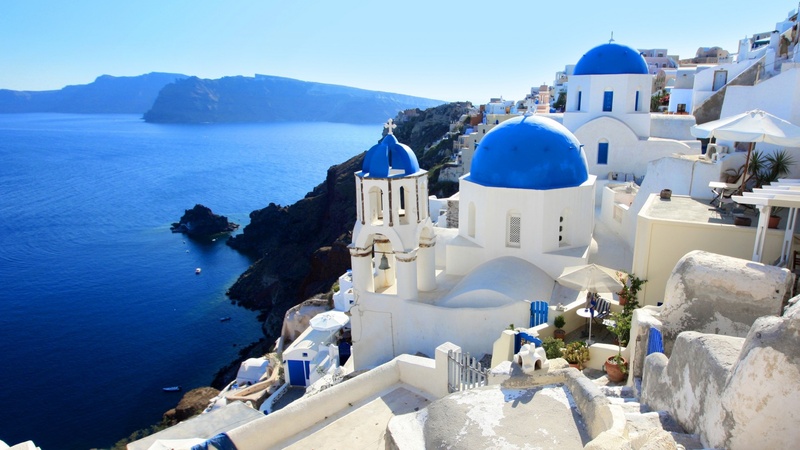 It is a small fishing town where you can see white houses with blue windows. The lagoon makes the town special. It is secluded by big rocks where you can walk on. I loved it 🙂 If you like to relax and to be far from the bustle, Oualidia is the perfect place! There are nice hotels and appartements. We had the intention to drive along the sea. 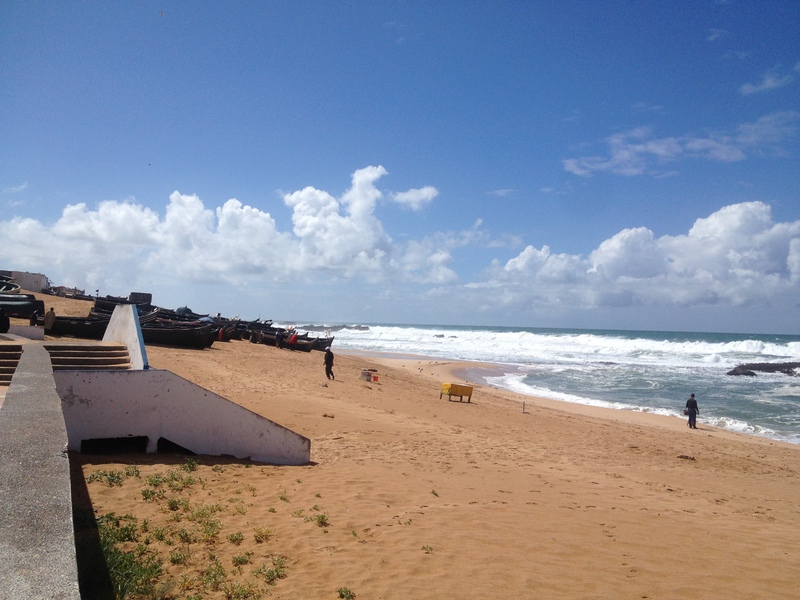 To begin from El Jadida and end in Essaouira. This track is amazing. 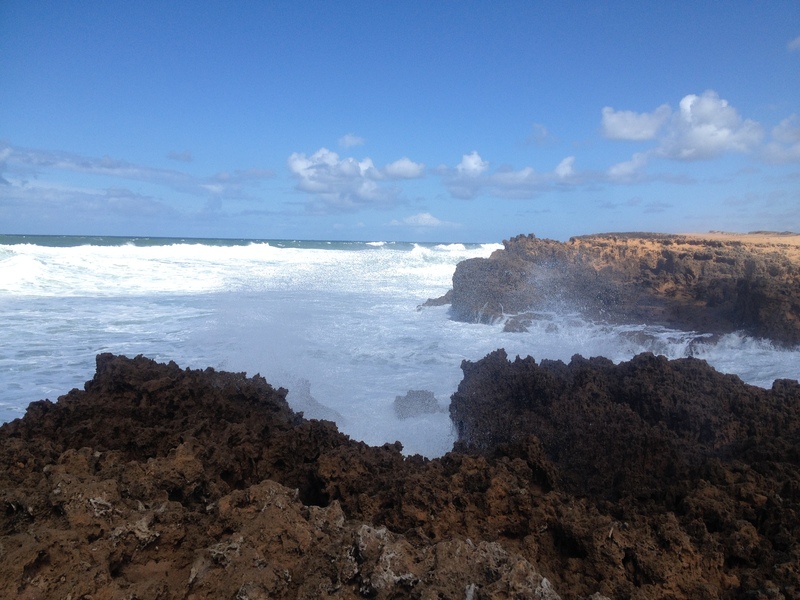 We drove 4 hours next to the sea. It is not a busy road, so it was very relaxing 🙂 There were moments we were very high on the rocks and other moments we were almost on the beach. 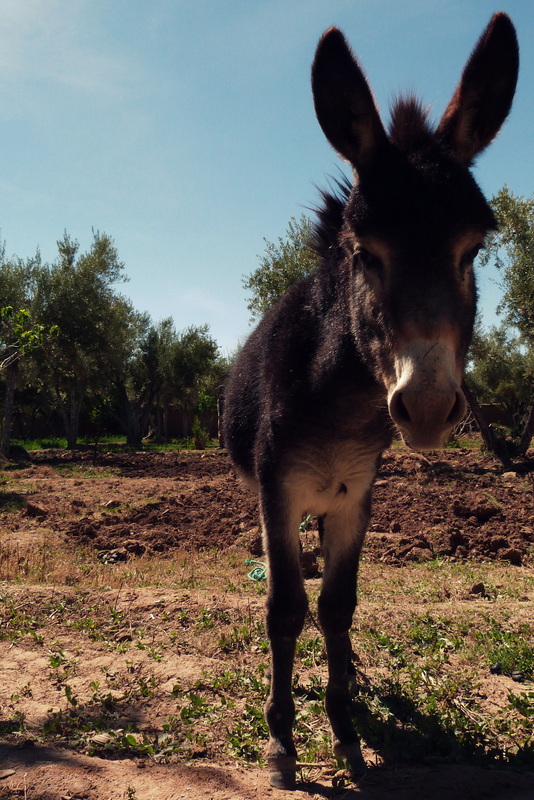 In this region you will find lots and lots of green, gardens and farms with animals everywhere. I can tell you, this was my favourite part of the trip. 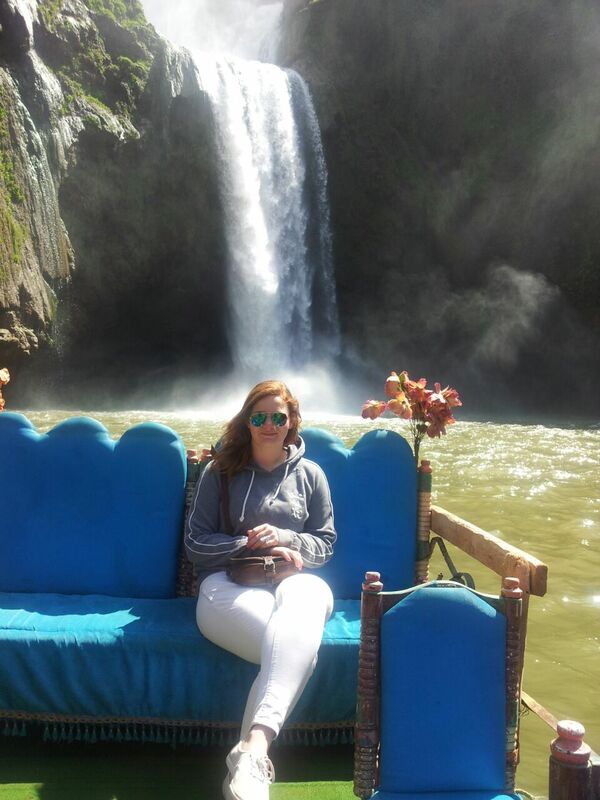 I can tell you that this was an amazing trip! I hope you liked it to. The first time in my life that I would leave my family for about 4 months! I was so excited. 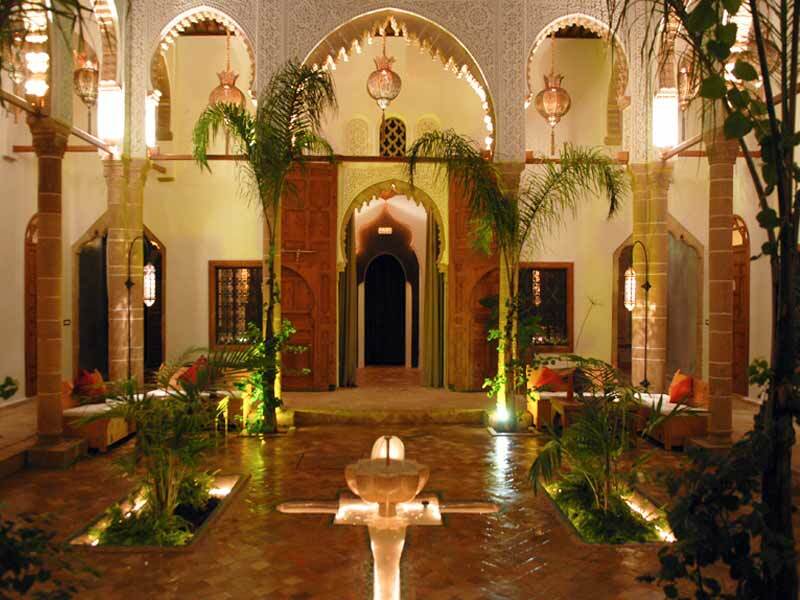 I’ve chosen to do my internship in Morocco. It was my biggest dream! 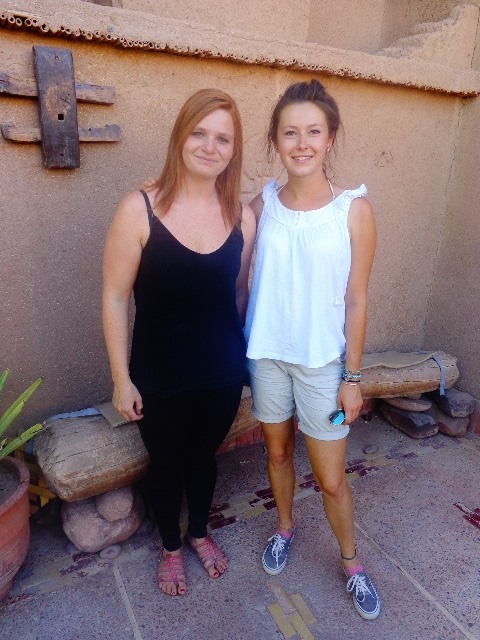 I’ve found a blog of another French girl who did her internship in the ecolodge Sawadi. I have read the blog and I really wanted to do my internship there. 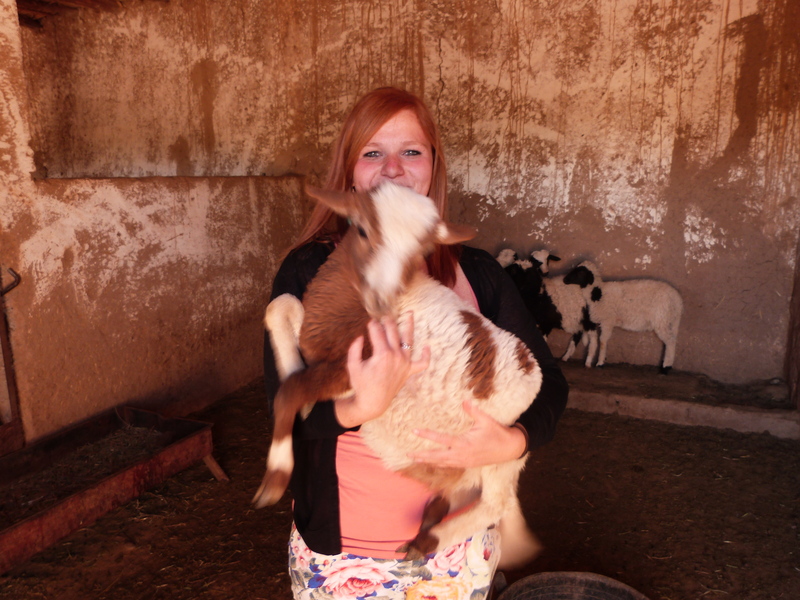 Before telling about my best memories, I’m going to tell you more about the ecolodge Sawadi. 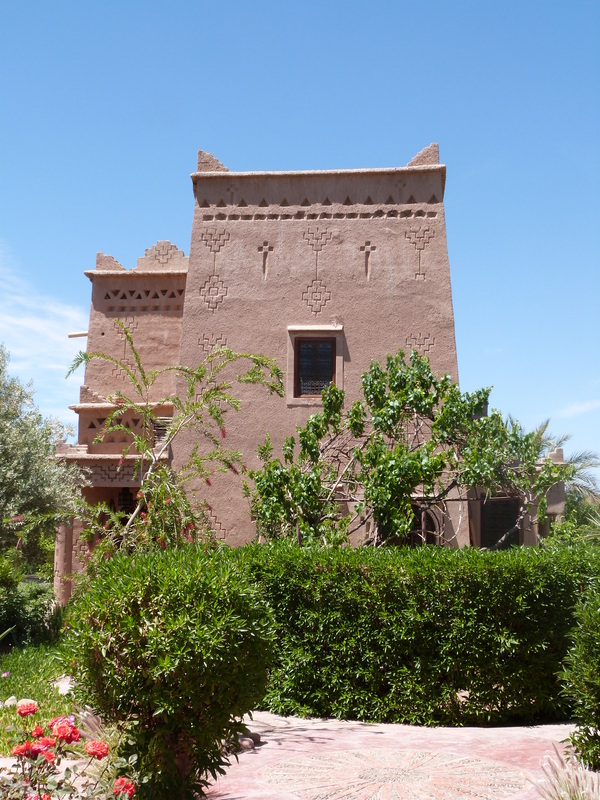 Sawadi is a paradise hidden in a huge palm grove situated in South Morocco, in the small town Skoura. 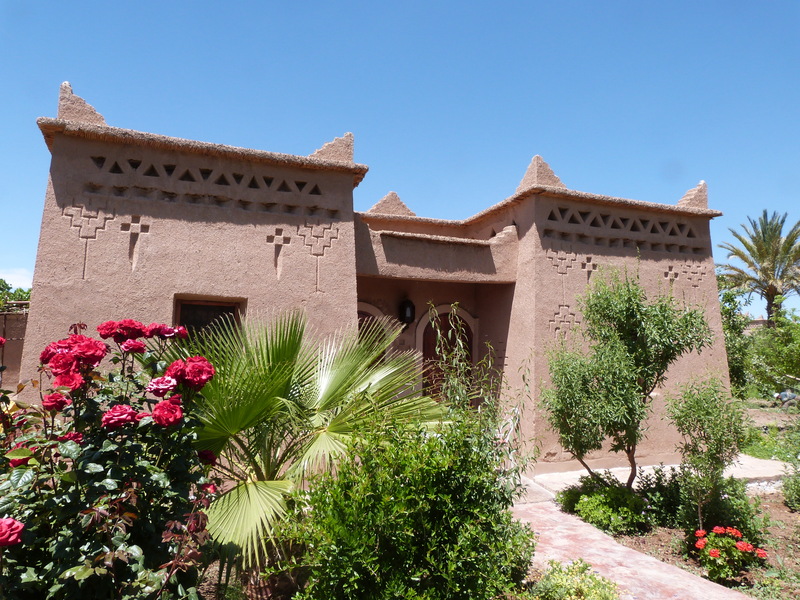 The ecolodge, in other words a hotel where sustainability and ecology are the biggest aim, is a big domain with 20 rooms spread over several kasbahs, all handmade and decorated in Berber style. There are double rooms and family rooms with or without their own terrace and chimney. On the domain you can find a swimming pool, a playground, panoramic terraces, a spa and hammam, meadows with vegetables and fruit trees and a farm with farm animals! 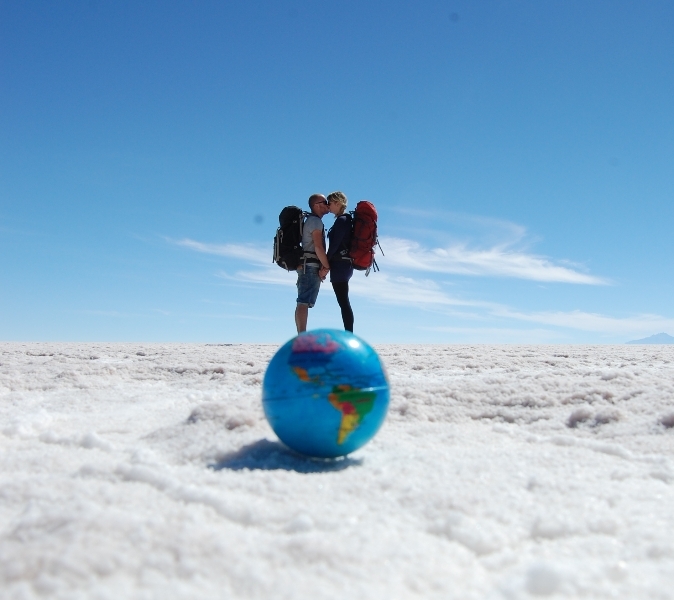 Every tourist can go wherever they want. The products you get as breakfast are also fresh from the garden. What do you think about a homemade yoghurt and a fresh fruit juice? Or bread with jam made by the girls? Yes, all those products are made at Sawadi. They even sell their soap and Calendula oil which are super for your skin. My other tasks were: serve the breakfast, serve the dinner, reception, answer incomming mails and calls and maintain the Facebook page of the ecolodge. 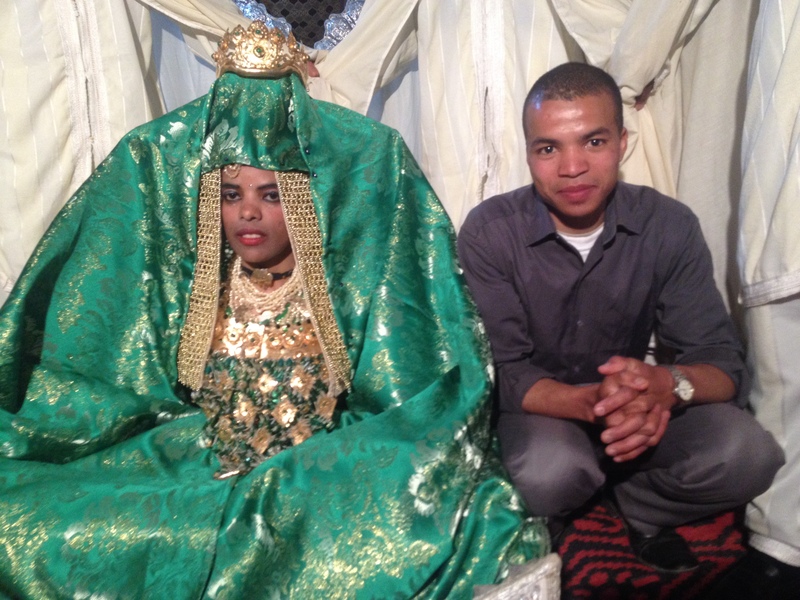 My second memory I will never forget is the marriage of my two lovely colleagues Abdelilah and Khadija. 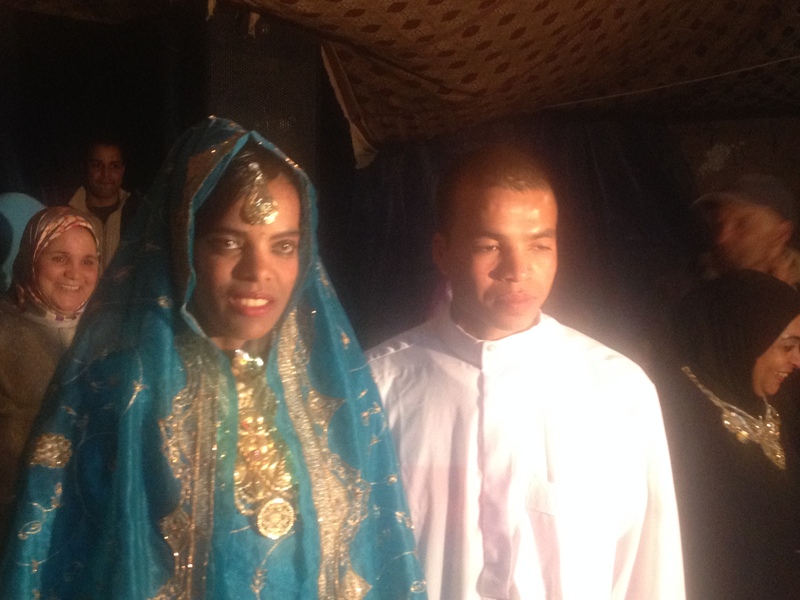 You have to know that a marriage in Skoura takes about 7 days ! During this week, they get a visit from the family and friends. The day I was invited, was the day the bride would have her first night with her groom and from then, the couple lives officially together. I was so over the moon that I could attend this beautiful occasion. I sat under a big tent with the families who danced and sang. The couple came in and out the tent and every time with another beautiful outfit. It was so impressive. Everybody wanted to take a picture with the bride and the groom. After the party it was time for the gifts. The groom was already home and the bride was surrounded by the family. She was blindfolded. Her sisters called the names of the guests and what the gift was when meanwhile the mother was greasing her hair with henna (that’s the tradition). Finally the time came to drop her off at the house of her new husband. It was 4 am in the morning when I was in bed, so tired but oh they looked so happy! 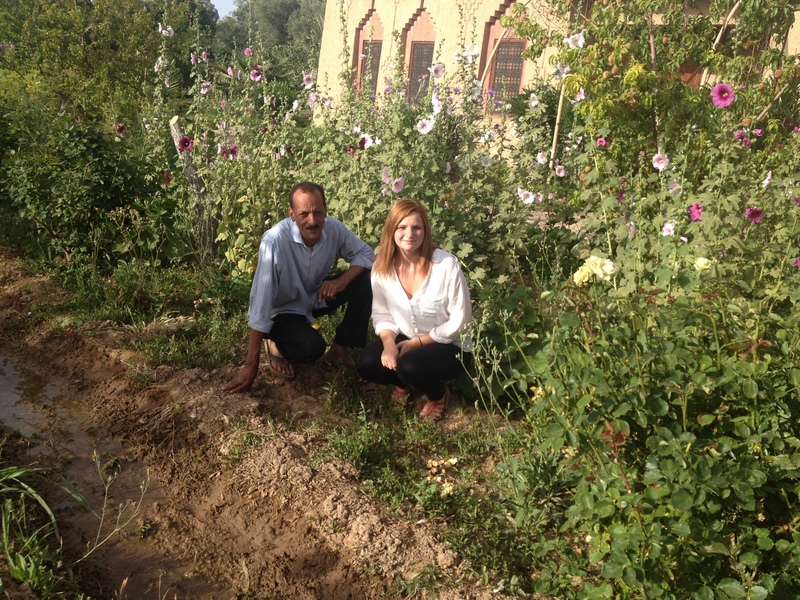 Abdou, a colleague of mine, invited me to go to the farm with him. On the way to the farm he explained me which vegetables and spices I could find in the gardens. That was very interesting because there were so many kinds spread all over the domain. We arrived at the farm, it was pretty big. I’ve seen donkeys, cats, dogs, rabbits, sheep and lambs, chickens, ducks, cows, pigeons, a goose, goats, a turkey and even beehives! It was incredible. Sawadi cooks with the eggs and make yoghurt and butter with the milk. The 18th of April it’s my birthday and the day that my mother and grandmother would arrive at Sawadi. I was so excited to see them because I really missed them! 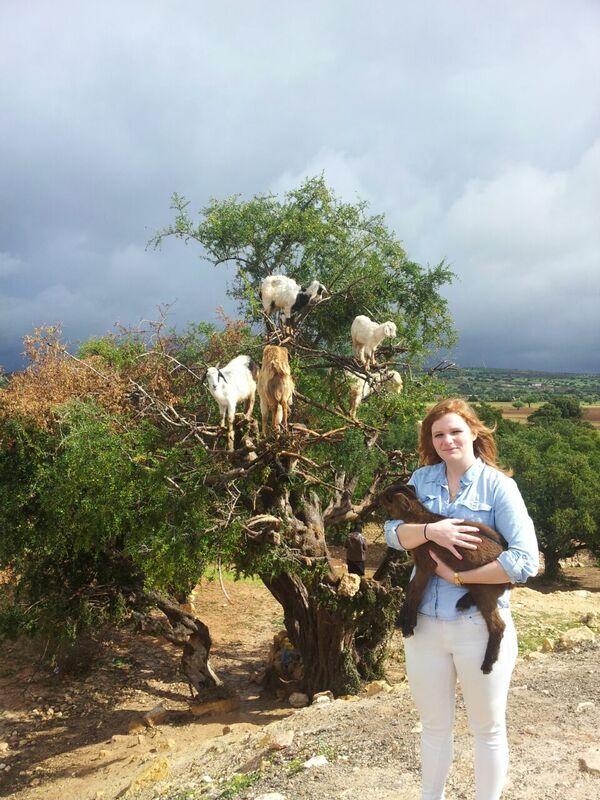 It was their first time in Morocco and they were very curious. In the first place they came here to relax and enjoy the sun. But I had planned a few excursions for them. 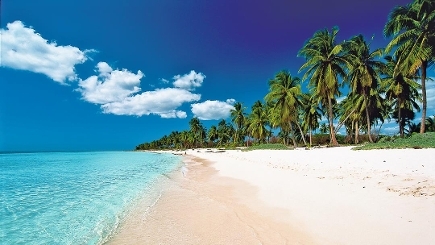 Our first jaunt was a tour in the palm grove to discover the region. We didn’t took a car but a tricycle! It is a motorcycle with a big trunk were you can sit in. 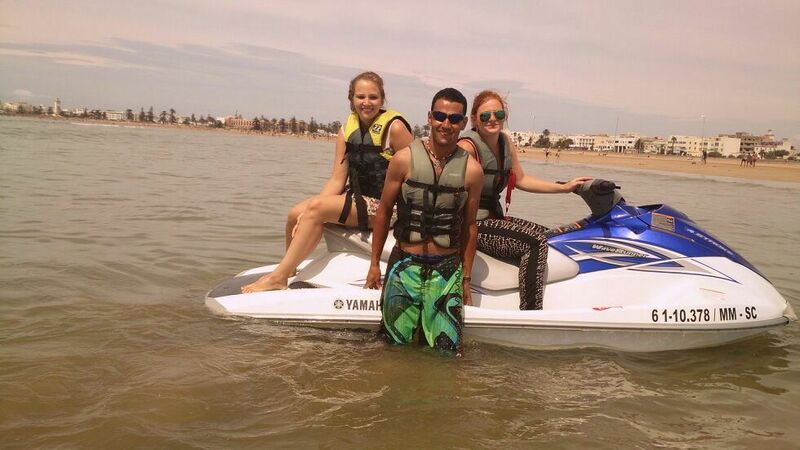 In Morocco you will see those means of transport everywhere and not just 2 people in the back, but more than 10! We had a great time and after that we felt it on our but 😉 After a ride of 30min, we arrived at the Kasbah Amridil. We did a guided tour and my mother and grandmother were impressed. 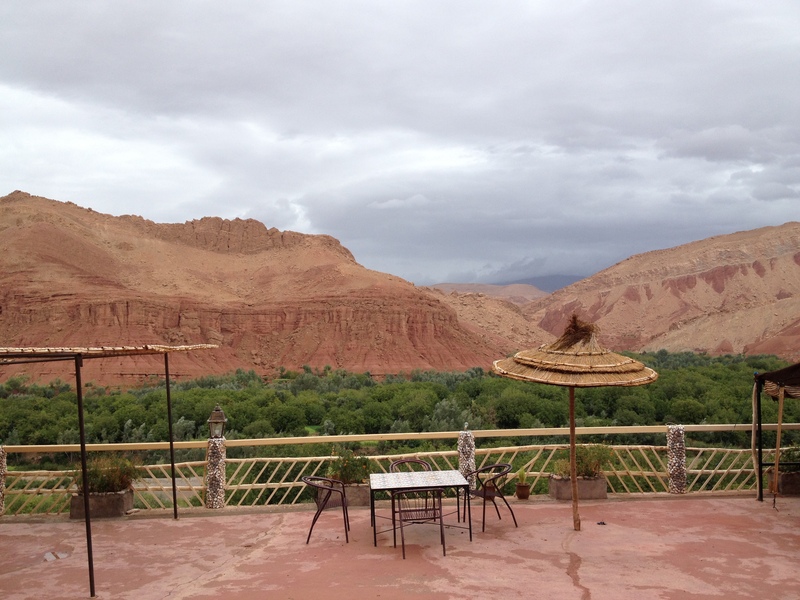 We also drunk a tea with the team of the Kasbah. 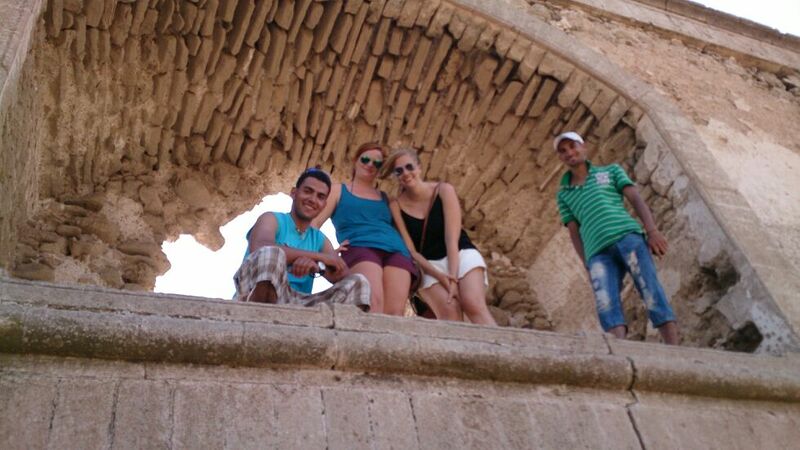 After this great day, we went back to Sawadi. A few days later, I planned our second excursion. 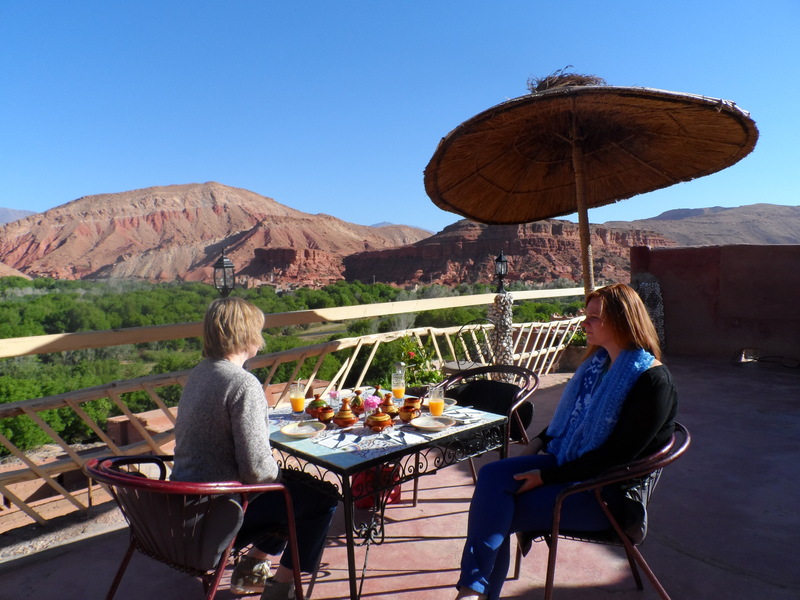 We shared a car with two other tourists till Kasbah Chems in the Rose Valley (where my friend lives 🙂 ) We had lunch with them and after that they continued their trip. It was a beautiful day, so we went for a walk through the gardens. My friend Said took us to the most precious places of the region and my mother and grandmother were impressed. It was their first time they saw nature in this way, untouched! We closed the day with a delicious tagine in the Berber tent. My mother and grandmother were really happy to be there. 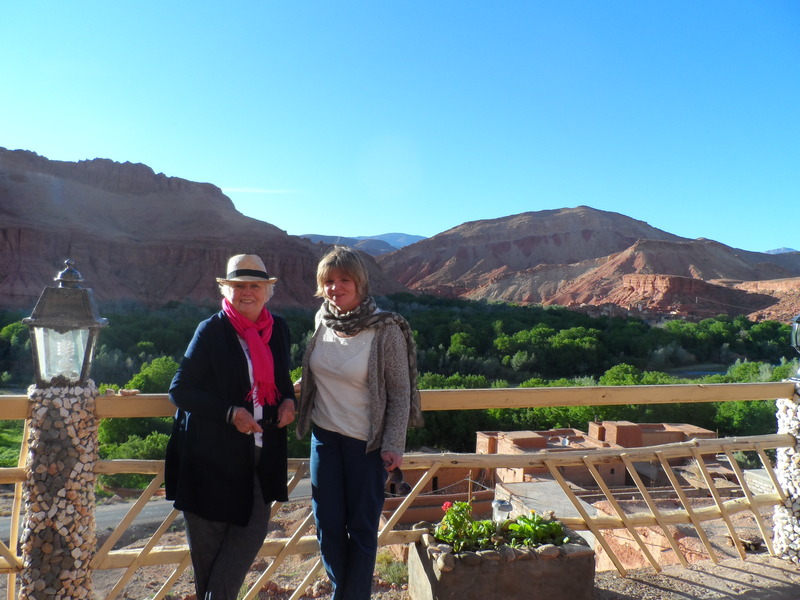 The next day we went to the Dades Valley by car. Again my family was so impressed by the beauty of the landscapes. To end our trip, Said took us to the most famous part of the Valley, were we had a beautiful view. We had some beautiful times together, but unfortunately it was the end of their vacation. I was very hard to let them go. 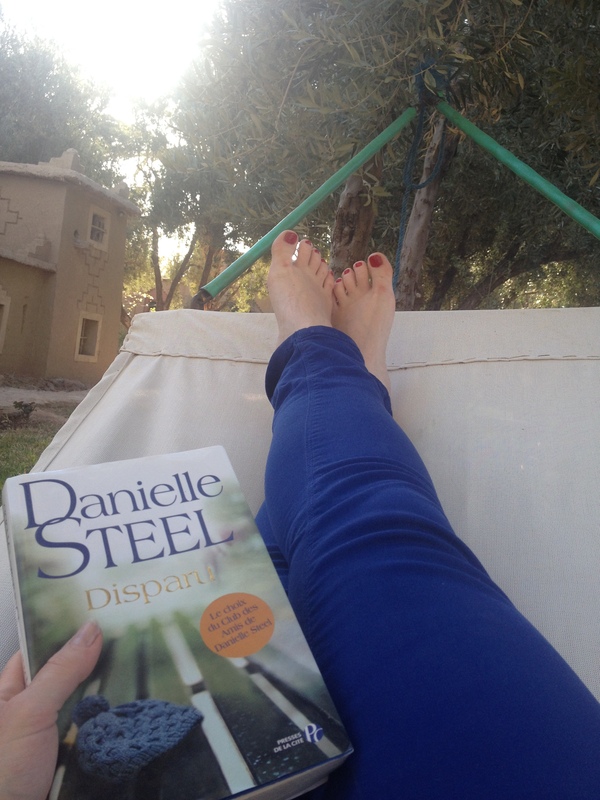 One month later, my father and stepmother came to Sawadi. I was so happy to have my family with me and to share some moments with them. My parents had their own car so that was much easier for us to move. 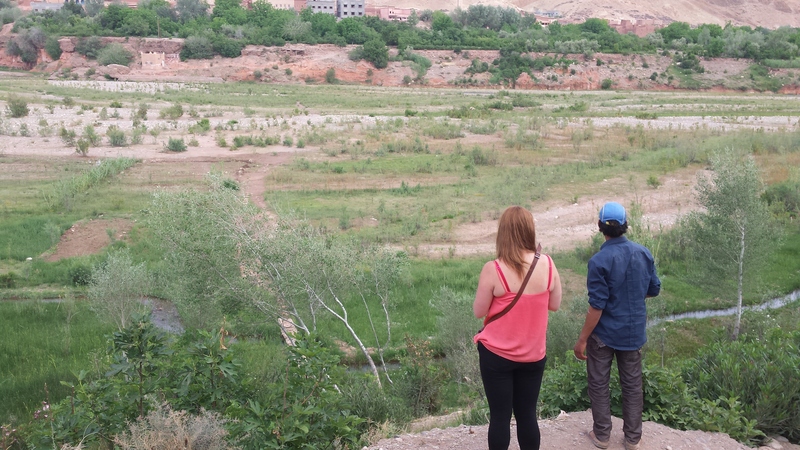 They took me to Sidi Flah, a beautiful piece of nature where a river flows through. It’s about 15min from the center of Skoura. We let the car behind us and we started to walk along the river. It was beautiful. The water was so clear that you could see through it. Normally you can spot turtles, but unfortunately we didn’t saw them. This place is so peaceful and calm. 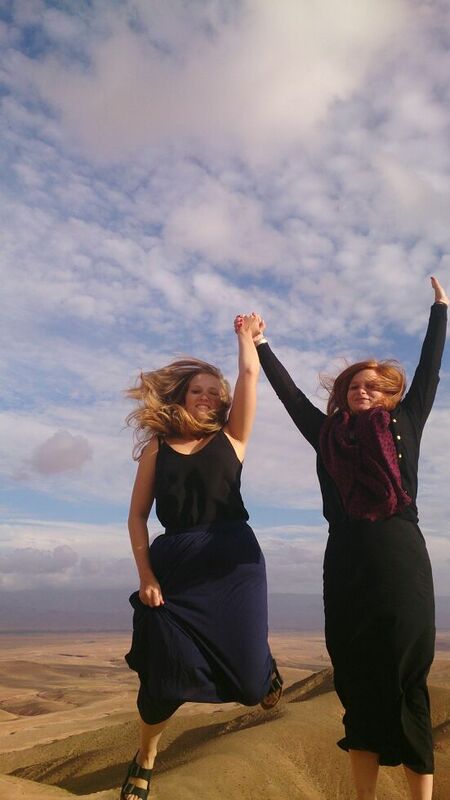 After that we drove to Ouarzazate, but we made a stop at a huge lake. We sat there for while and enjoyed the silence. 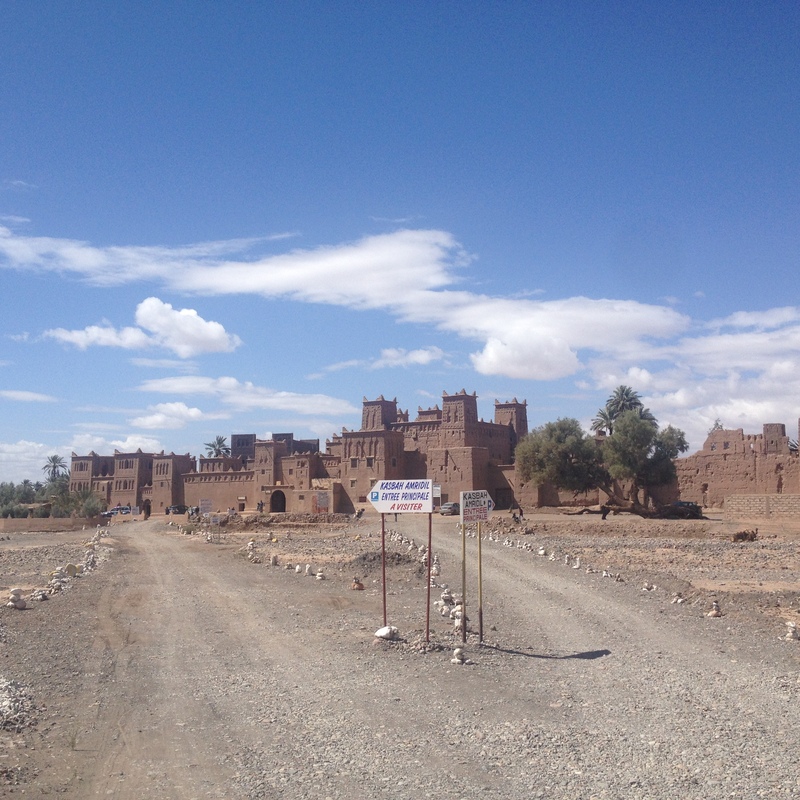 We ended the day at Ouarzazate. And of course my parents and I went to the Rose Valley 🙂 It was Mai so the roses were in bloom. Wauw you see roses everywhere! Mohamed took us for a nice walk through the rose gardens. I never saw so many roses at one place. I definitely recommend it to everybody who loves to walk and who wants to disappear from the stressy world. We were very relaxed and happy. It was breathtaking. We ended our trip in the Dades Gorges. We took lunch together on a very nice place with a view over the valley. Yes I know I went frequently to the gorges. It’s because I love the region. It’s a beautiful place for nice walks through the gardens, fruit trees and along the river. I put more photos of my experience in Skoura in my gallery, so don’t hesitate to take a look! I would looooove to go back to my second home, Morocco 🙂 Don’t you? 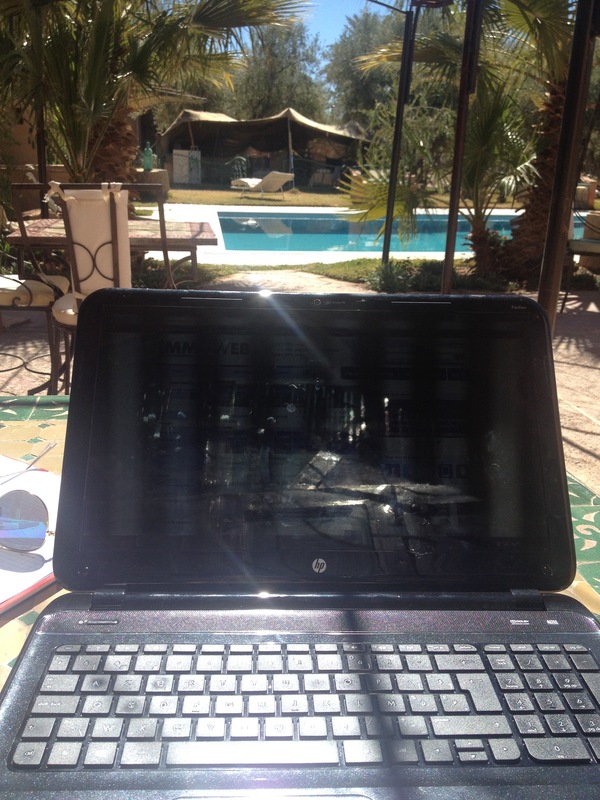 Don’t you want to see more than just Marrakech or the pool of an all in hotel? I know a perfect place ! 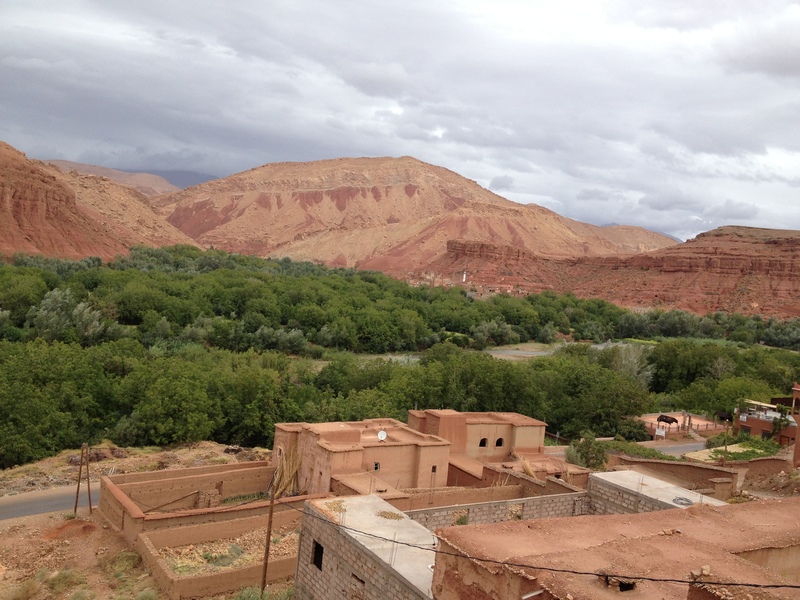 On a hill overlooking the valley of roses in Morocco, Kasbah Chems is a small paradise where the eye arises in the gardens, the river, the snowy mountains of the Atlas, the Berber villages and colorful reliefs. 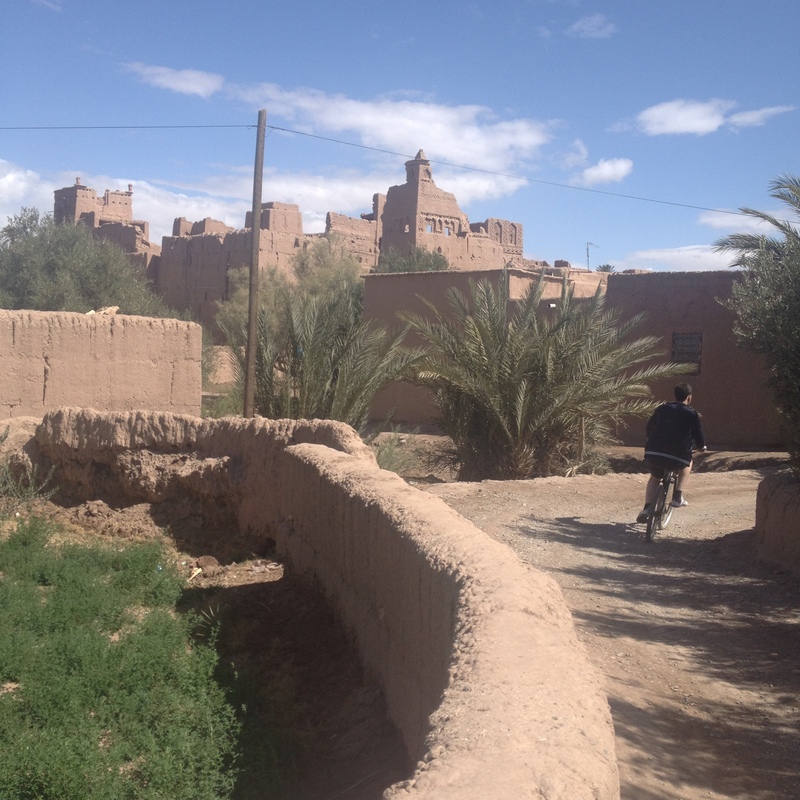 After a ride of 30 minutes through the Rose Valley, you arrive at the most beautiful kasbah of the region ! 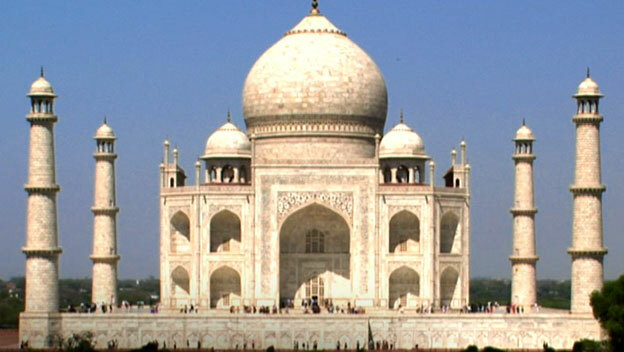 It is situated in a small village called Boutahgrar. 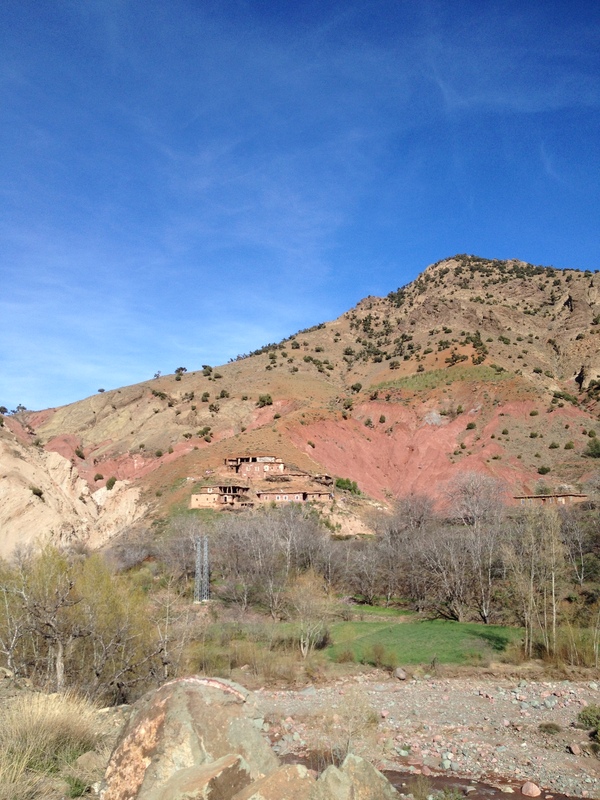 Kasbah Chems stands on the hillside of a mountain and it is the first hotel you see before arriving at the village. When you arrive, you will be warmly received by Said or Brahim. 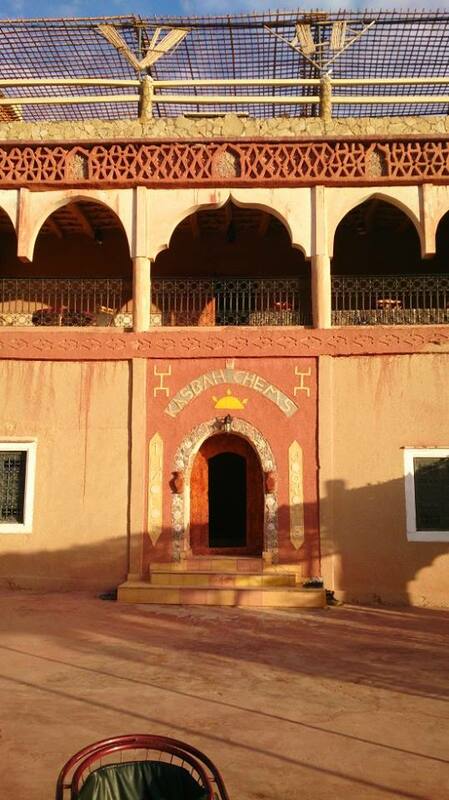 Kasbah Chems is a hotel which is managed by an Moroccan family and it already exists for 10 years. The hotel has 14 rooms for 2 to 5 people. 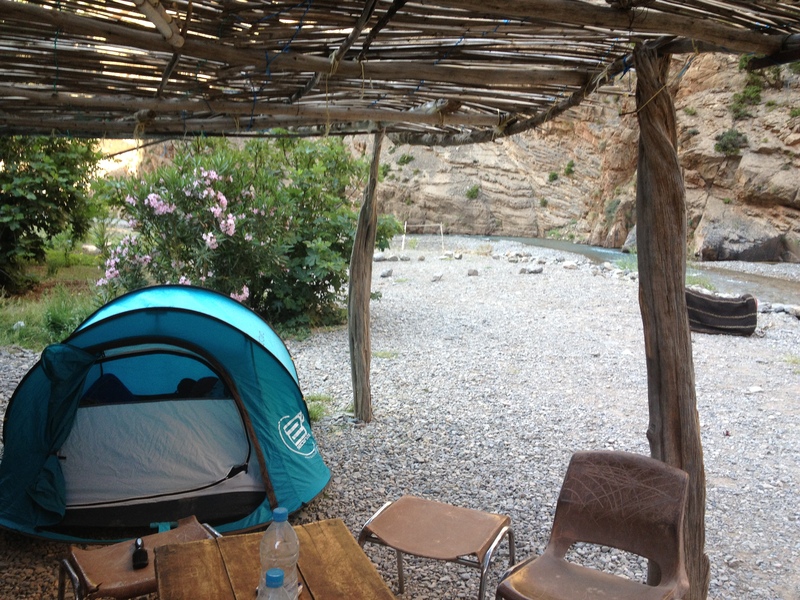 It is accessible to everyone and it is possible to sleep in one of two dormitories or camping for a small fee. 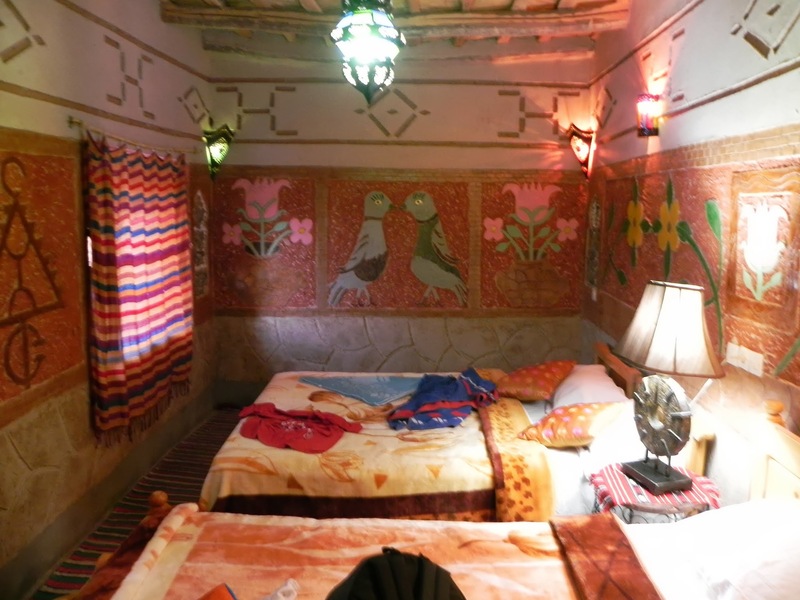 If you want to experience the charm of nomadic life, you can also sleep in the Berber tent. 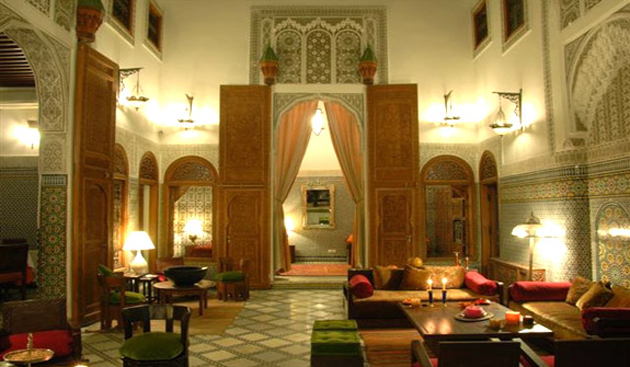 The kasbah is builded by the family, from the walls to the small details, drawings and decoration. Everything with their own hands. 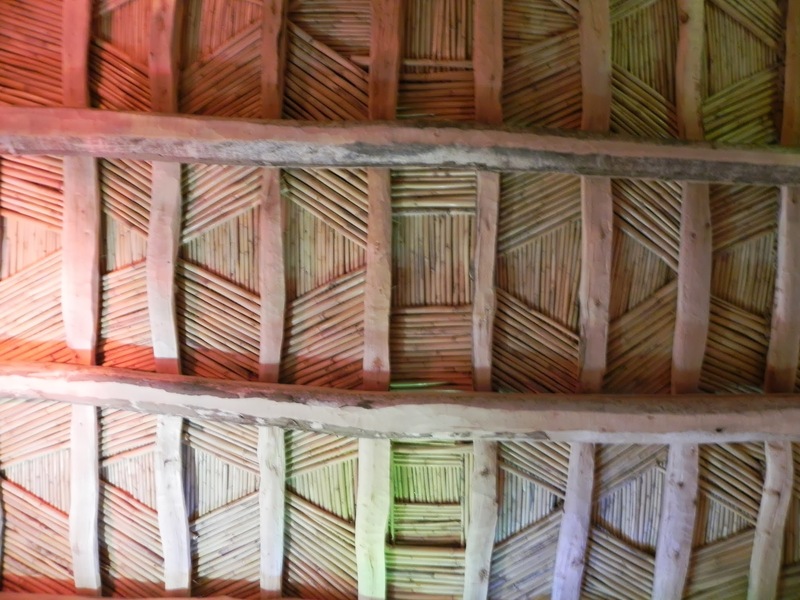 Every room has his own decoration, that is what makes this place so beautiful. With his 3 terraces, you get an impressive panoramic view over the valley. Because the weather is nice, you can take your delicious breakfast or lunch in the sun ! Do you like to walk in the nature? 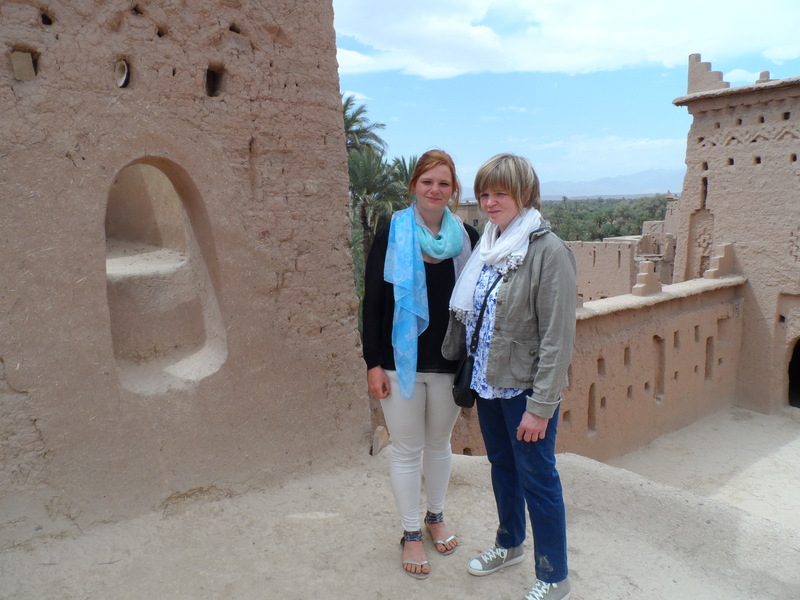 Kasbah Chems offers different kind of excursions for every kind of people. If you want to walk max 5 hours, you can do the day excursions. 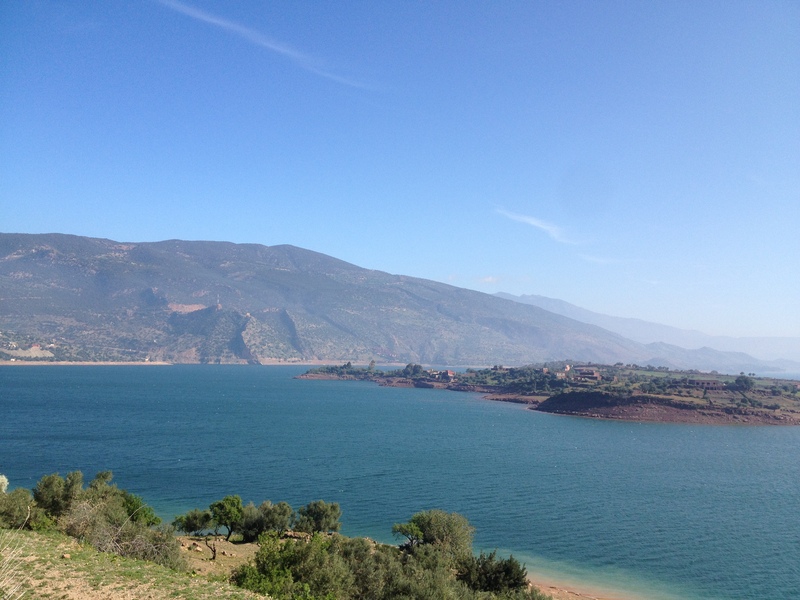 During the day you can choose to go to the Dades valley or to discover the beautiful Rose Valley. I recommend to take a walk through the Rose Valley, certainly early Mai. You will see roses everywhere and you can participate the rose festival; colors and music everywhere, beautiful people, dances and they will choose the Rose Queen (the most beautiful women of the valley). 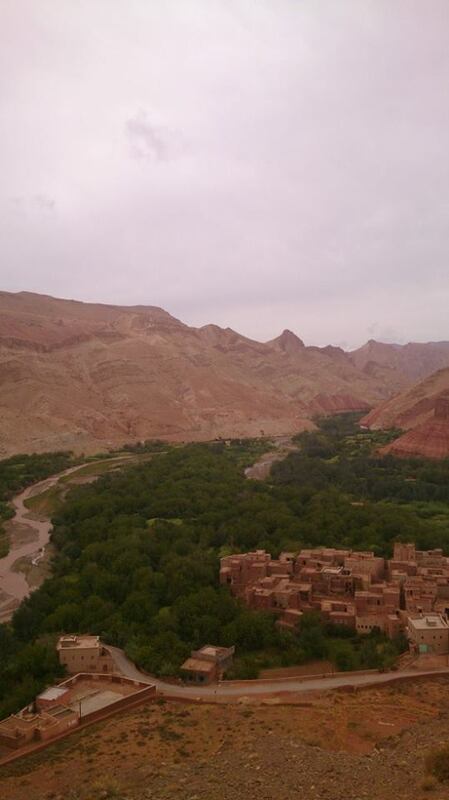 Are you an advanced walker, you can choose between treks of several days; in the M’Goun valley, the High Atlas or the desert. The treks can take from 3 to 10 days or more. Don’t hesitate and take a look at the website and Facebook page ! 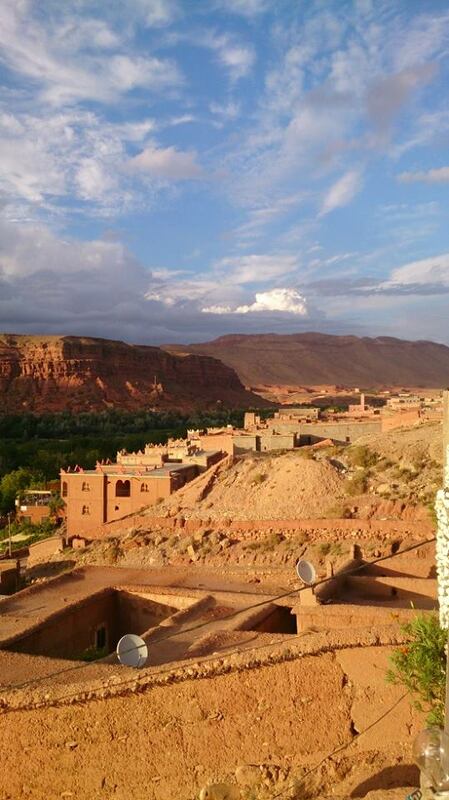 I can assure you, Kasbah Chems is an amazing place !!! Everyone has a list with the things you want to discover in life. Of course I have mine. So I would like to share you my dreamlist 🙂 Of course I want to see the whole world, but I will make my list a bit shorter. If I could, I would go now and get lost ! Let me know and leave a comment. 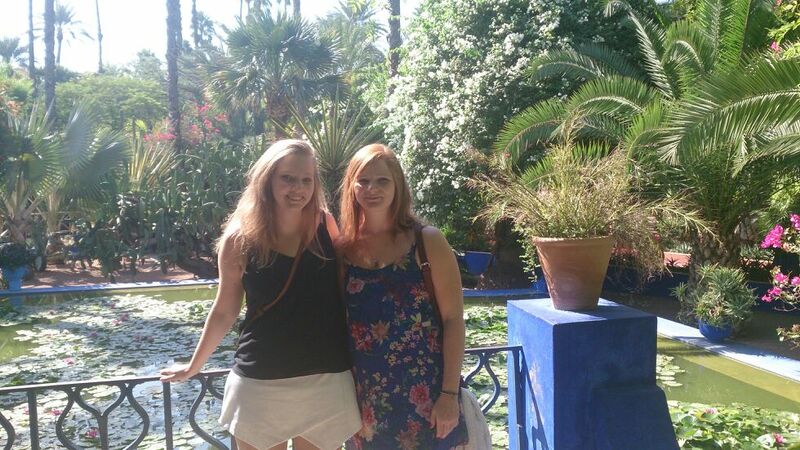 New adventures in Morocco and this time with my lovely niece ! 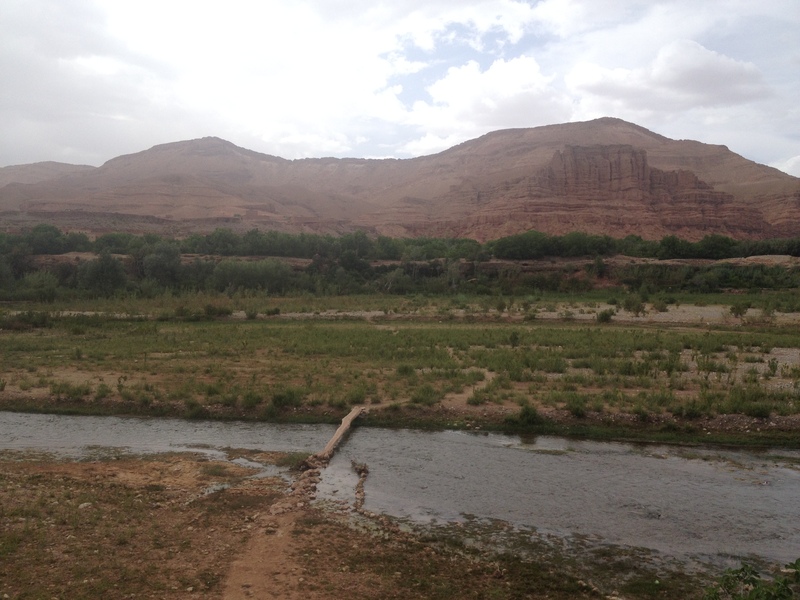 We began with a journey at the Dades valley. We took the car and we drove through the valley. 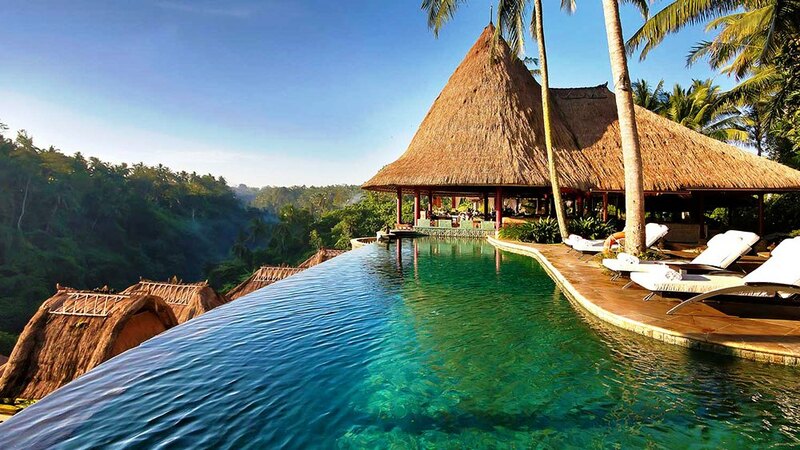 There are different places where you can stop and enjoy the beauty of the nature. That’s what we did. 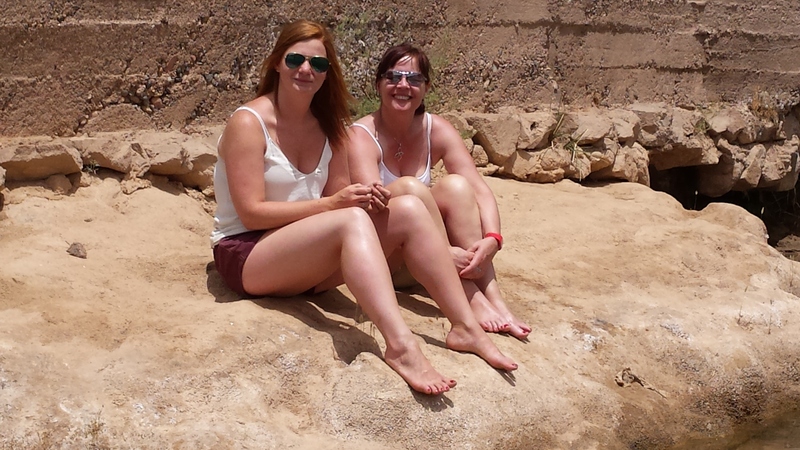 We stopped at the river and relaxed with our feet in the water. Lovely! 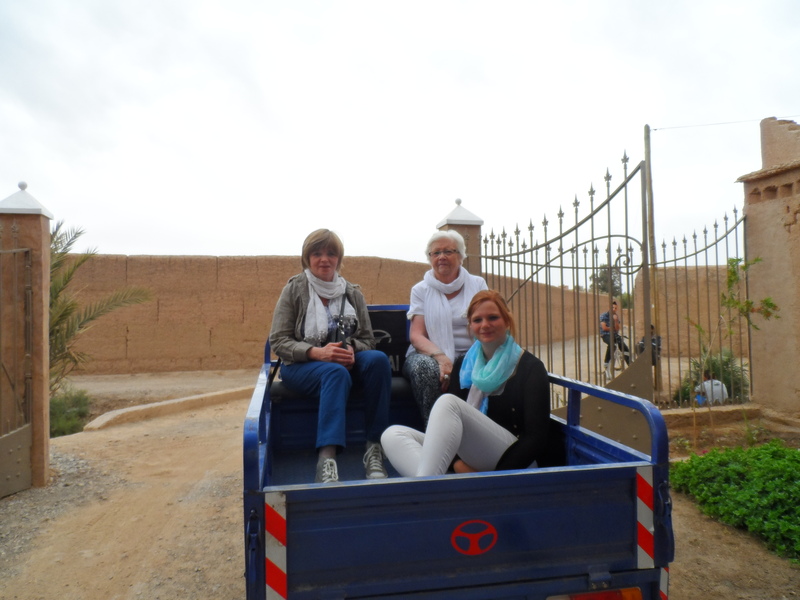 After this, we went back to the Kasbah and we walked in the old village and the gardens. 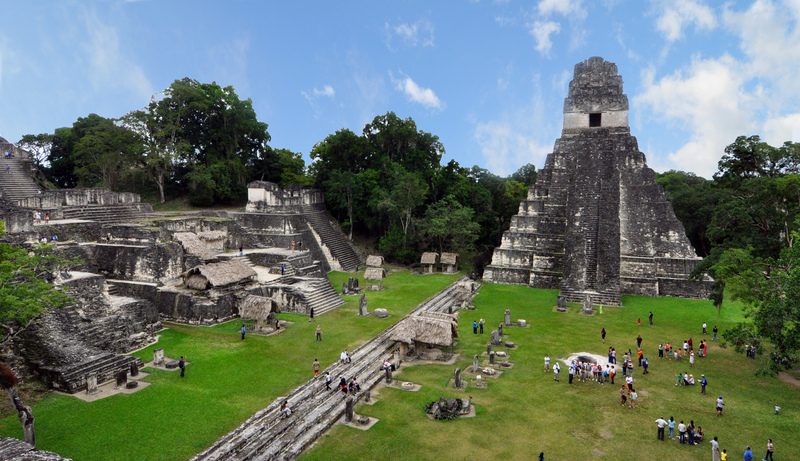 I can assure you that the atmosphere is incredible; food is delicious, the people are very friendly and they offer nice excursions (Said and his brothers/friends know the valley and surroundings by heart. Day 2: the valley of the 1000 kasbahs! Like I already described you in one of my other blogs 😉 It’s a gorge, surrounded by imposing mountains. We followed the river and of course our guide Said. Even if this was the second time I saw the valley, I was again surprised by the beauty of this nature. But then there was something that happened we aren’t used to find in a country like this; IT STARTED TO RAIN!!! And we had lots of kilometers left :p Luckily we arrived at the nomad tents in the middle of the gorges. We ate some delicious salad and drank some Moroccan tea. Because it was raining heavily, we waited in the tents. I can assure you, it was a funny adventure 😀 We were hiding under de blankets because it was cold and we took a nap. We also had some company of a sweet little dog. After 3 hours, we continued our walk. Yes, we were exhausted but so happy ! Day 3: on the top of the plateau and mountain ! After a delicious breakfast, Said took us to the high plateau of Boutaghrar. We climbed and climbed and climbed and finally arrived. Wauw, it was breathtaking! 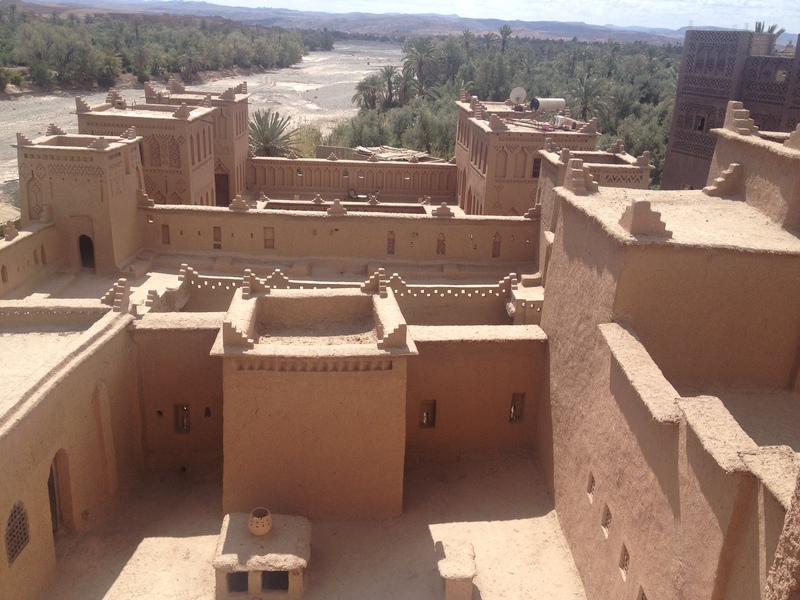 It gave a fantastic view of the old and new village of Boutaghrar. We stayed for a while and enjoyed it. It is certainly worth to do. To go down, we took the other side of the plateau. We walked through forests with lots of fruit trees. We tasted fresh figs and peaches from the trees that Said cropped off. For the second part of the day, we took the car and climbed on the mountain. We were so high!! And it gave us again an incredible view over the village but from the other side. This was the end of our journey in the Rose valley. 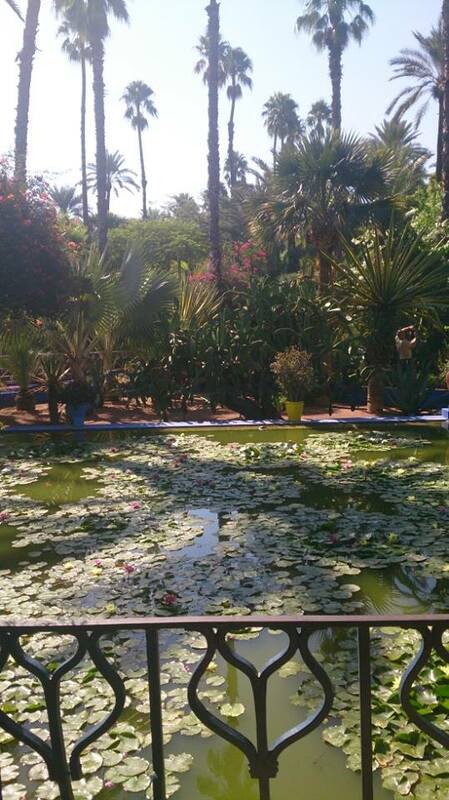 Back in Marrakech, we went to the Majorelles Gardens from Yves Saint Laurent. 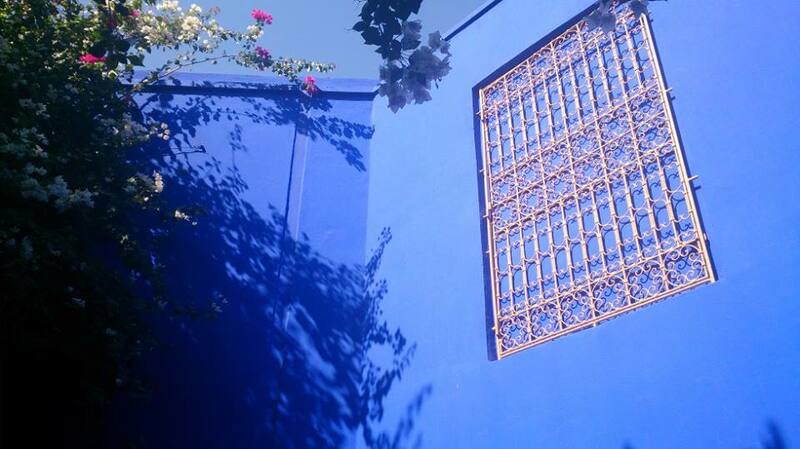 It’s known for the thousand different kinds of plants and trees, but also for the beautiful blue colors that is used on his house and in the details. Oh yes, if you are hungry and want to eat quick and cheap? Go to the little stands for a nice couscous and a free Moroccan tea! 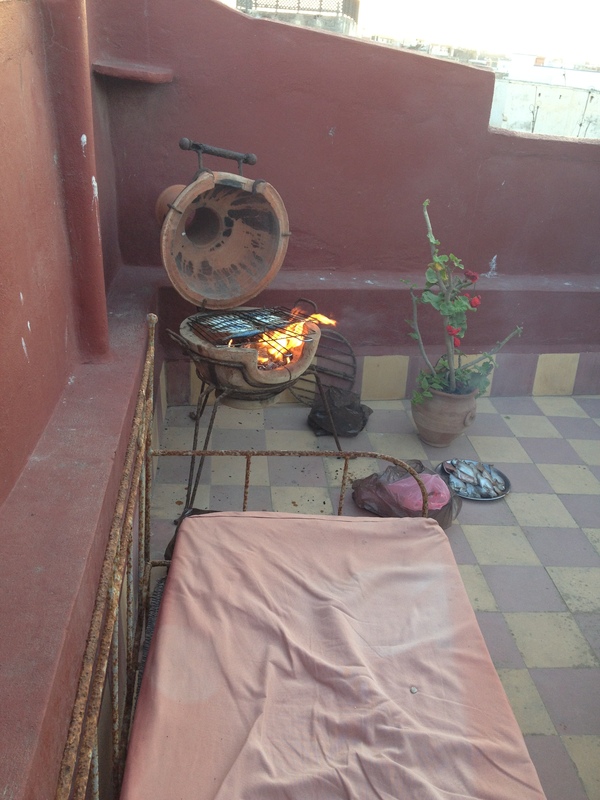 We rented a very nice apartment in the middle of the medina of Essaouira. Such a lovely apartment with 2 rooms, a salon, a kitchen and a fantastic terrace with a view over the city. I prefer to stay in an apartment so you can cook yourself, go shopping and to live like the local people. 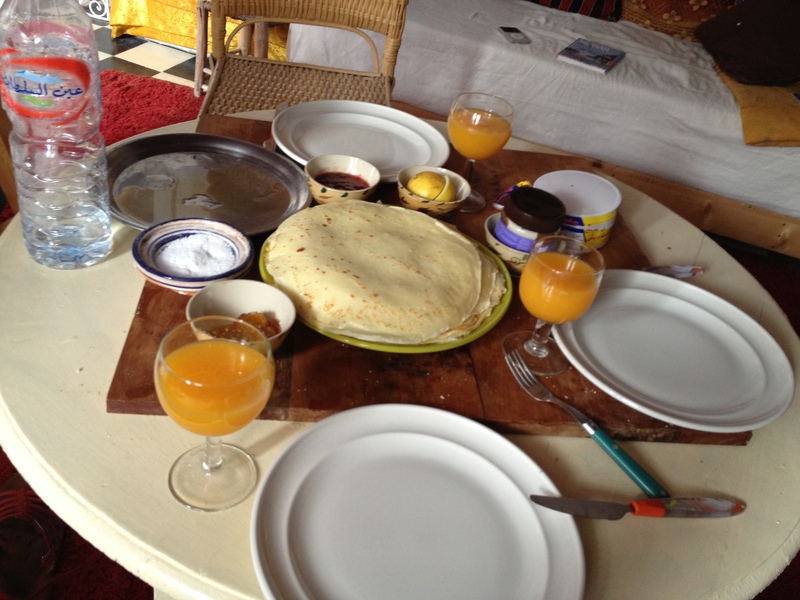 We made some tajines, grilled fish but also french pancakes. Mmmmmm! 😀 We had the time of our lives here. With our music, there was always a good atmosphere. 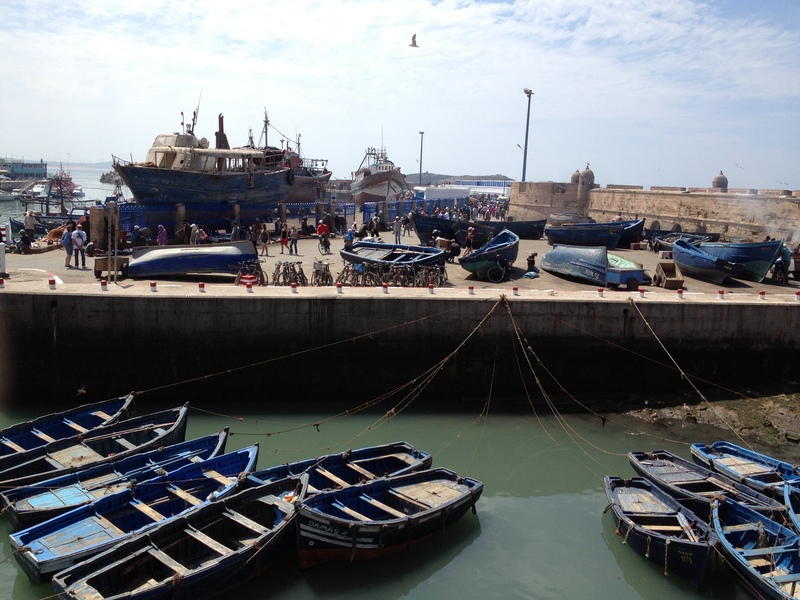 In Essaouira you have many things to do like discovering the old medina, shopping in the souks, to walk through the port or to do things on the beach. That’s what we all did! 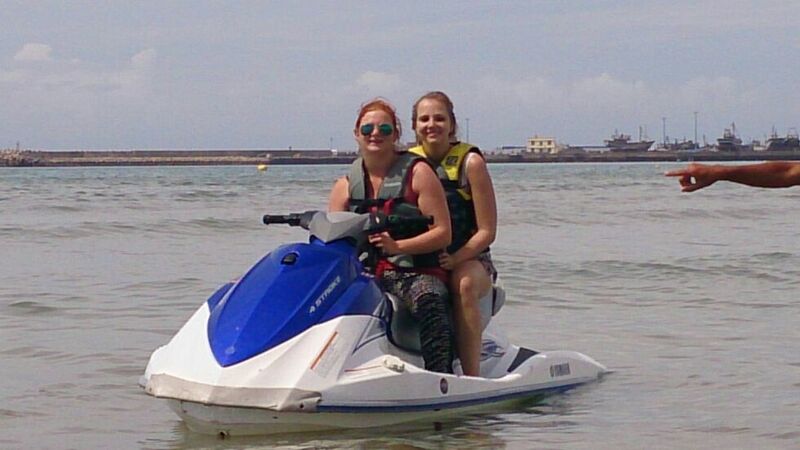 We wanted to do something special, so we decided to start with something nice and that was to ride the quads on the beach! It was so much fun! We had a guide in front of us and we had to follow. 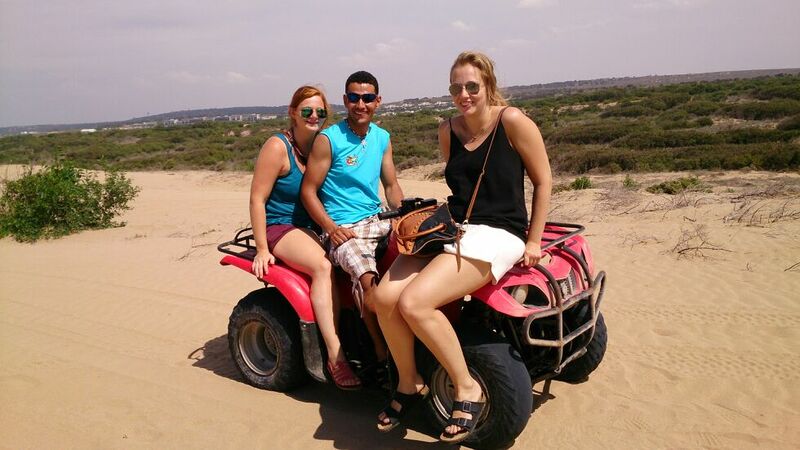 It wasn’t always easy because there are high sand dunes. 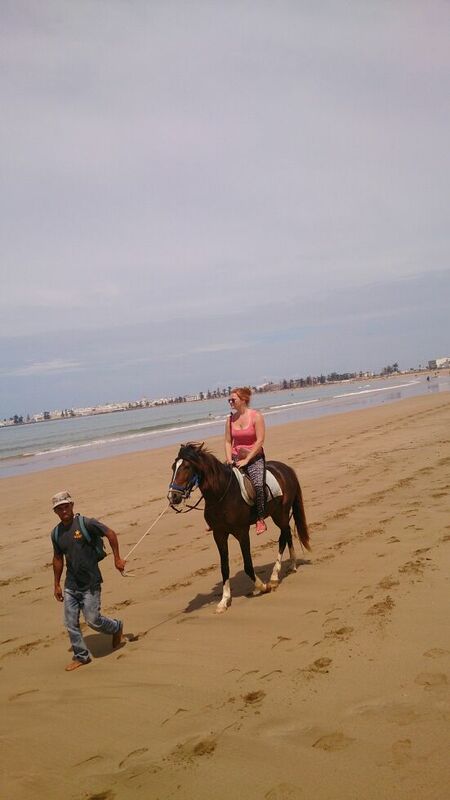 The second thing we did was to do horseback riding on the beach. 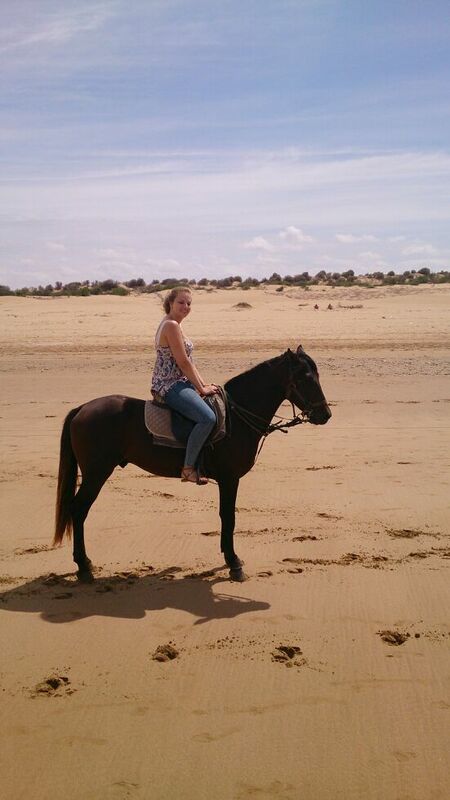 I am a bit scared of horses, but I did it and it was amazing. It was the first time I did it on the beach. 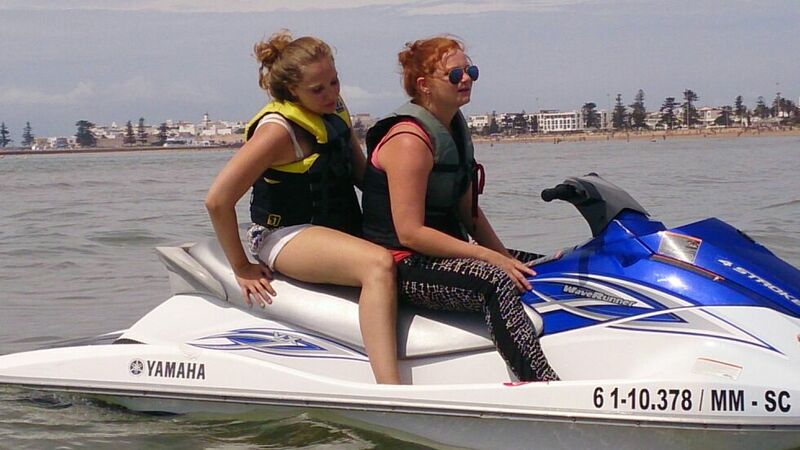 For my niece it was easy :p And to finish we tried the jet ski!! This was so much fun !! Voila I hope you enjoy reading! Put here your email adress to follow this blog and to receive notifications of messages by e-mail.